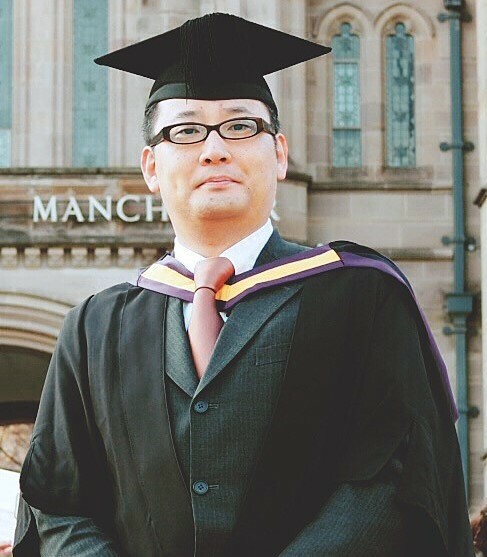 I chose the Manchester MBA not only because of its top ranking, but also because of its flexibility and portability, in case I had to move to another country during my period of study, which turned out to be the case. 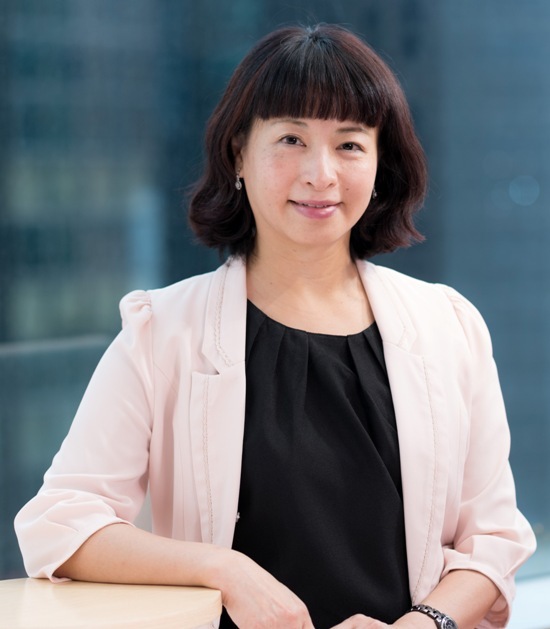 I currently head a multinational team in the Chief Investment Office across APAC for UBS, following various roles in global financial institutions. It was a highly invigorating experience for me, you will be forced out of your comfort zone when starting an MBA, and having a flexible MBA setup is key. This programme is also crucial in helping me connect the dots between topics and to present strategies through application of learned frameworks. For busy executives and management-level associates, it is difficult to squeeze time to attend daily or weekly classes while striking a balance between work, family and study. The flexible mode of study in the Manchester Global MBA hence is a huge advantage as it allows me to study at my own pace and design my own specialist electives. It was never easy to handle career, family and study at the same time but I was quite fortunate that my boss and family were very supportive of me taking the MBA programme. As the course materials can be downloaded from internet easily, I always carry my tablet and reading notes with me whenever I go. It enables me to fill the gap time during transportation and other activities to catch up on the readings. The diversity is the best part of the programme and a key reason why I chose the programme. The networking experience with people from worldwide was fabulous! I truly appreciate the hardship and stress the workshop and coursework have given to us as it helps us to learn to deal with difficulties and look for ways to resolve it. The programme has helped me to further develop my logical thinking and analytical skills, it helps me to analyse issues from a macro view and it also inspired me to think out of the box and look for innovative ways to solve issues. This stellar programme left me not only with solid business knowledge, but also ample practical skills. The MBS creed of ‘learning by doing’ was on full display – field research and business simulation exercises form an integral part of every module. It also helped me build confidence, proactivity and toughness – from being quite shy in group discussions, I grew to enjoy offering my opinion whenever it was needed! The biggest merit of this course, for me, though, is its flexibility—I could learn while working. I don’t have to risk my current job or my family life in order to succeed in the programme. In fact, I actually got married, gave birth to my child, changed job and moved house all within the timespan of the degree! This is just proof positive that the MBS Global MBA can afford adjustment to every individual situation. I therefore strongly recommend the course to anyone wishing to take their career to the next level. 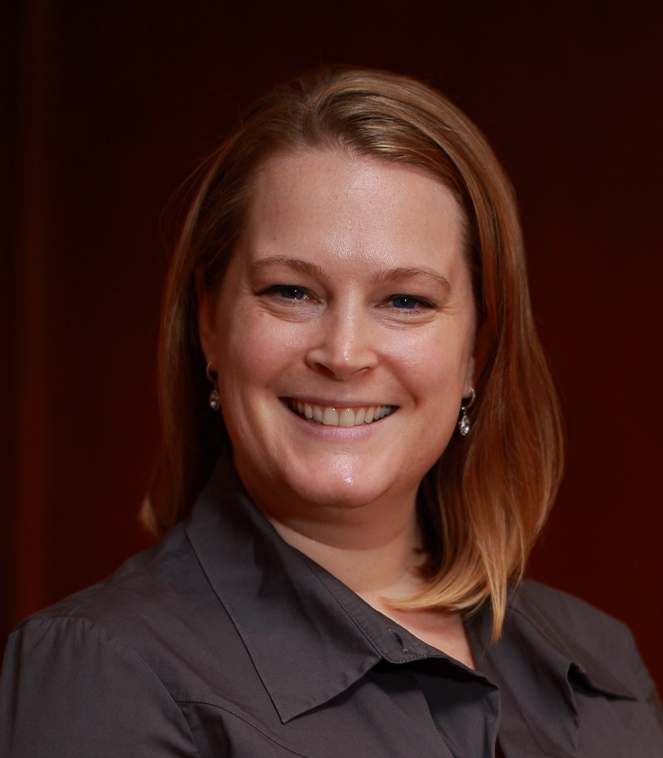 My MBA journey coincided with a leap forward in my career. Part of the July 2015 intake, in 2016 I was appointed as the representative Director at Le Cordon Bleu Japan Inc. while retaining my core duties as General Manager of Le Cordon Bleu Korea Inc. Studying for my MBA is a feat that is well-recognised by the President of my company, directly leading to my promotion, as well as opportunities to participate in global projects. I would like to thank Professor Ismail Ertürk in particular, who facilitated my invitation to the Global Gastronomy Summit 2018 in Istanbul, Turkey, where, as a guest speaker, I shared my insights regarding the globalisation of local cuisine. I credit my study group and my family’s support as essential factors towards my success in balancing work and study. Both graduates extolled the practical nature of the programmes - many lessons are directly applicable to management and decision-making. ‘This MBA is indispensable in broadening our knowledge base and paving the way for future career advancement,’ they say. 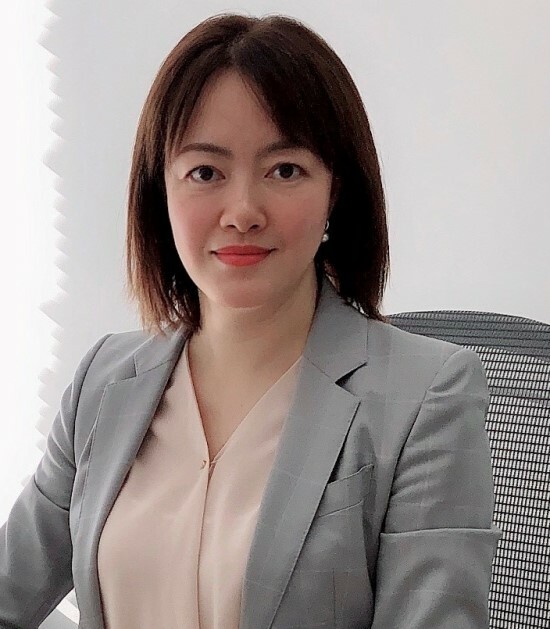 Lai has now expanded into risk management within her job, while Ma is currently responsible for managing Asia-Pacific property developments. For them, the journey has been a family commitment. ‘Our gratitude goes out to our loved ones for taking care of our baby boy during the most hectic of days,’ says the couple. Truly, the MBA has brought them closer together as a family unit. I think the knowledge of business strategy and finance I acquired has greatly enhanced my career, as I gained a thorough understanding of end to end business in the programme. The course helped me to fill in my gaps in learning and gain a holistic understanding of business. This has helped me move into more senior management positions, managing P&L’s and driving business strategy. I am also grateful for having the opportunity to study in four centres. By leveraging and learning about the work experience of the other students, the international modules provide an overview of how companies operate in various markets. The experience has allowed me to better understand the work culture of my team located in other countries. It was difficult to study while working, especially as I travelled a lot for work. I was lucky that my family, my employer and direct manager were all amazingly supportive. You need exceptional time management skills, prioritising what needs to be done. Don’t leave assignments and study to the last minute. Since embarking on this degree, I has become a better communicator and a more inclusive leader. Without a doubt, studying alongside people from such diverse backgrounds has inspired me to think differently. Like many busy executives, the degree proves a lesson in time management and effective communication, skills I believe essential to professional development. For any MBA student, the trick is to be transparent with your boss and your management team as well as your family - because without their support, it’s hard. Post-graduation, I am grateful not only for enhanced managerial smarts, but also the ability to think with a greater sense of vision and agility. Being a Police Officer has always been my dream, in hopes of serving society. And having worked in the force for over 10 years, I think the programme has given me the opportunity to gain additional skills, expand network, and most importantly, brings me management skills to a higher level. Taking the advantage of its flexibility, I have spent 1/3 of my time attending the workshops in the main campus—Manchester, UK, and attended different workshops in different places. 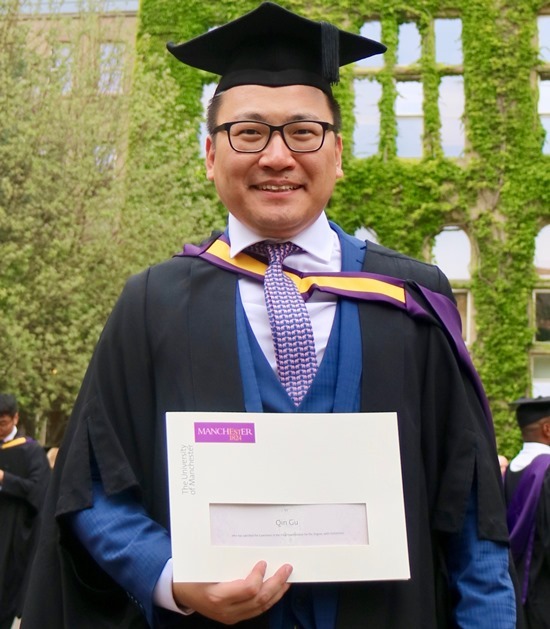 Proud to obtain my first degree—Bachelor of Engineering—at The University of Manchester, I didn’t hesitate to do my masters at the same University again. The University of Manchester has brought me a lot of inspirations. I hope I can bring what I have learnt in the programme, my insights and vision to the Force and my team. From my experience, the academic faculty boasts some of the best scholars from around the world and from the industry, thus the courses are packed with updated, practical and advanced information for each and every student. Founding my career on engineering, I realised I needed to beef up my business skills to turn a new page of my career as a front-line manager. Regarding my learning experience of this MBA programme, the value of attending intensive workshops overseas in broadening my horizons were highlighted. Since I started the programme, I was given the opportunity to relocate to other countries and setup sales and marketing strategies for each of the countries in Asia Pacific region. Apart from studying abroad in the Singapore center, I also visited Shanghai and gained eye-opening experience. One of the workshops taught students how to do business in China and how to deal with Chinese business partner by adapting their work culture and usual practices. This MBA programme gave me a chance to work and team up with international people. During my live business consultancy project, I worked together with a group consisting of Indian, American, Swiss and Hong Kong people. This is a truly diversified team. The Manchester Global MBA is a well-balanced programme with adequate amount of theoretical knowledge, case studies and interesting electives. 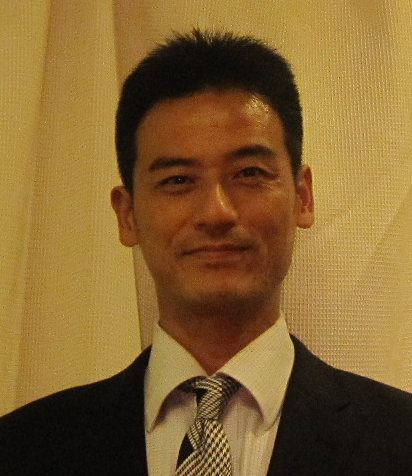 It equipped me with the new skills that I seldom need being an engineer, such as corporate strategy and negotiation. I am still applying the skills that I learned today! I am grateful that I could further my studies while continuing my job in the company. In Japan, life employment is a common practice as it is regarded as respect for the company. Putting international exposure as a priority when choose MBA programmes, I was assured by the diverse background of Manchester Global MBA. MBA programmes of European universities are actually more international than those in the US. The professors and staff in this programme have a global-mindset and know how to respect people of a different cultural background. 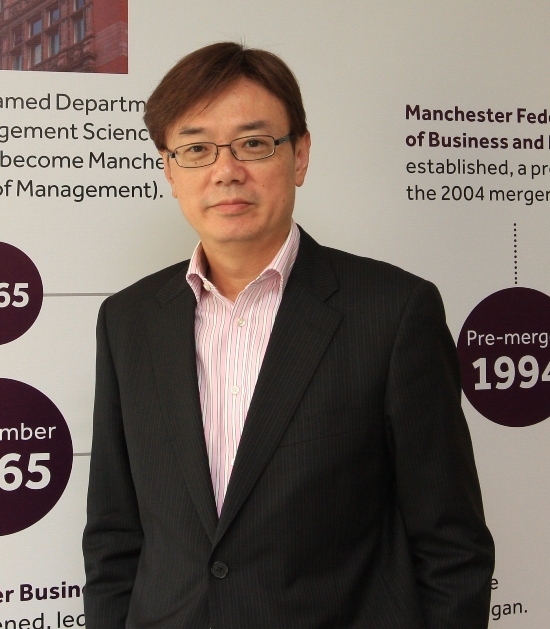 In pursuing studies, Manchester Global MBA caught my attention because of its flexibility and diversity. I also wish to improve on my English to better handle global-scaled projects which involve interaction with people from different countries. I found it difficult in the beginning to read course materials in English. But I was determined to make a success of my studies by doubling my effort and finally not only my English improved but also I passed with flying colors. The experience of a cultural exchange in Dubai was really unforgettable. It was my first visit there for the overseas workshop, and I was amazed by the diversity in the group as they came from Kuwait, Morocco, UAE and Zambia. I invited them to have a beer after class, but we turned out going for coffee instead because of the alcohol ban. That was the first time I came across this Halal custom. I have always been committed to the importance of acquiring new knowledge. So, studying for an MBA was always very high on my “to do” list. 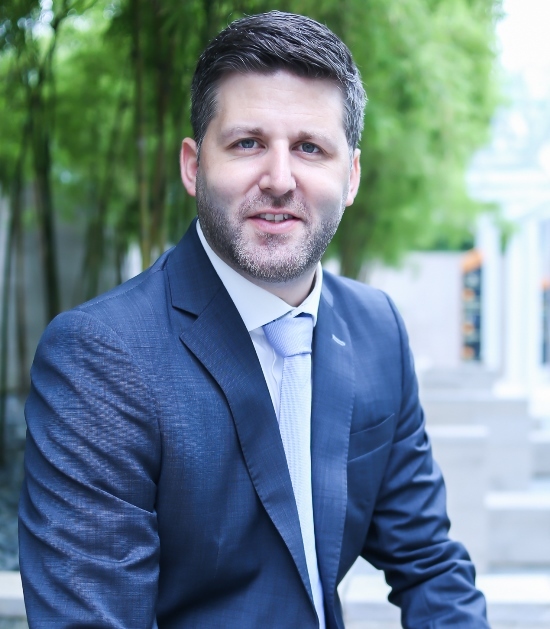 The MBS Global MBA was a natural choice for me, given its triple accreditation, its offer of a CPA scholarship and the University’s overall focus on social values. In particular, I found the blended learning format ideal for me – with its intensive workshops in global centres, complemented by online lectures, it allowed me to manage my busy work schedule at the same time . The practical nature of the programme meant that I could continuously apply new knowledge to my workplace, with the aim of creating new opportunities, as well as delivering complex, dynamic change. I would like to thank the programme’s support staff, who went the extra mile in tailoring the programme for students’ needs, especially mine. Working with them, they made a challenging journey so much more manageable; for which I am grateful. After fifteen years in the R&D department of a major Japanese telecom company, I wanted to combine my technology-focused background with business know-how in order to open up new career opportunities – hence an MBA, I personally chose this Global MBA for several reasons: the worldwide recognition of the University, its triple accreditation status, its emphasis on diversity and travel, and the eclectic nature of its cohorts. This programme provides the perfect balance between theory and hands-on assignments, the latter of which allows us to apply new concepts to practical cases. For me, the MBA is a timely and effective career booster - I was transferred to NTT DATA Global Marketing HQ Global Automotive Office in January 2018. I had always wanted to sharpen my practical management capabilities, and the Manchester Global MBA gave me the perfect opportunity to do so. Although I already possessed an MSc in Finance, I wanted to take my knowledge beyond the ‘technical’. As one of the most prestigious MBA programmes in the world, the Global MBA did not disappoint. What I appreciated most about it is not only its focus on practical knowledge—professors used different business cases for our reference, which could be readily applied to my working life, but also its global reach. I would like to encourage newcomers to study at least once at an international centre—I did two electives at the Manchester campus, and it was a brilliant and unforgettable experience—we worked hard and played hard. Overall, this degree was the perfect fit for me, as it gave me the chance to study overseas while still having a full-time job in Hong Kong! I have always believed in learning new theories and applying these to corporate settings. Much of what I have gained throughout the programme I have integrated into workplace practices – from managing stakeholders and presenting information in a more contextual way to questioning everything with a critical eye. Real benefits were reaped – my career soared towards the next level. From the time I was accepted into the programme up till I graduated, I moved country three times. Thankfully, the blended learning concept and modular approach of this degree fully accommodated these changes, allowing me to complete the degree on time. I would also highly recommend that students take up the programme’s offer and study at two other international centres. In fact, I find these experiences so impactful that I decided to travel at my own costs to a third centre! I chose Manchester Global MBA because of its stellar reputation and because the programme offers great flexibility for time-starved students like me who could not attend classes on weekday nights. I found the workshop experience extremely applicable to real-life. Every subject came with practices featuring actual cases, which I along with other group members would attempt to solve, and which would then be presented to professors and peers. On the career front, the MBA was extremely helpful for me in switching to Sales and Marketing after a long stint in engineering. I found that practical lessons learnt from the program could be applied directly to the new job, especially Game Theory—part of Managerial Economy and Negotiation Skill. If the programme were simply designed around theories, it wouldn’t be much help for me, unlike this programme! Overall, I was impressed with the degree of practical application involved—certainly, its motto ‘Original Thinking Applied’ was well-embedded into the programme itself. My goal in applying for the Global MBA is quite straightforward. I wanted to get out of my comfort zone. This is a perfect fit – not least because of its reputation, its flexible programme design and its uniquely global vision. I am full of praise for the knowledge and skills gained through the degree, I’ve learnt a lot, particularly on the strategic management front. 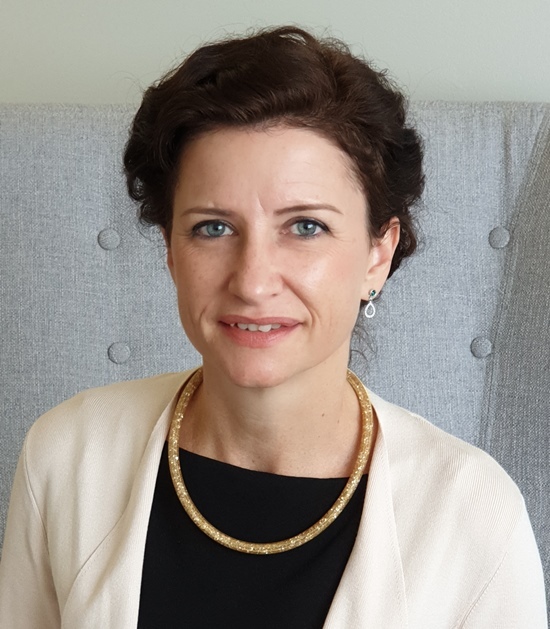 Thanks to that I will be better prepared for the newly-appointed role as the CFO for Maersk Group’s liner operations in the Far East cluster – including Greater China, Korea, Japan and the Russian Far East, starting this September. I strongly believe that ‘teamwork’ is my most valuable takeaway. Through group assignments, I learnt about the art of effective discussion and compromise. I endorse on the School’s “Learning by Doing” method as it has incorporated strategic frameworks and theories that can be promptly applied to real business at workplace. The method supplies food for thought with a strong focus on real-life application and drives me forwards in my current daily business. I have visited four centres throughout the programme, namely Hong Kong, Manchester, Dubai and Singapore respectively. I was so excited having the opportunities to visit these centres. I met a number of professors and students at different centres, built a network of various peers who share with me their insights and broadened my perspective in a global business context. I was also lucky to have support from my peers in both my company and the School. My colleagues took up my duties until I was back from overseas workshops to catch up the work. I am not alone, and always do something as a team. That's what is important to me, and how I could strike balance between my work, family and study during the programme. The Manchester Global MBA was the perfect choice as it was one of the best in terms of ranking and accreditation, while affording me plenty of flexibility. Even before starting my degree, I had 20 years of solid industry experience in government departments and multi-national companies, as a programmer, business analyst, business owner, project manager and IT consultant. But my goal was to move to the next level in my career; I saw the MBA as a vehicle for obtaining the strategic, business and financial knowledge I needed. I found the MBA course hard work, especially doing it in conjunction with a demanding full-time job, but it certainly gave me the skills I needed. The programme covered a large breadth and depth of material, across all aspects of management with interesting electives. The workshops were challenging but I have no doubt it helped to build the skills and knowledge that have helped me achieve my goals, including honing important everyday team and leadership skills. One of the key benefits of this particular course was the Manchester Method, which allowed me to practice with real world case studies in my own work situation. Regarding my keys to academic excellence, a supportive family and making effective use of the study group were critical. The MBA programme requires a lot of hard work, including time for reading and thinking. Being part of a study group helped me to regulate my study and deliver the work needed for the major project. We came to rely on each other, for work, support and encouragement. We came to realise that while working as a group can be very frustrating, this was a key component in mastering important real-life skills. 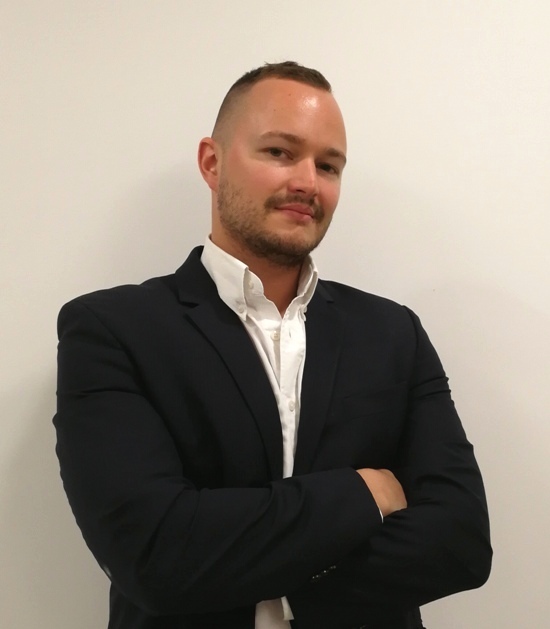 As the owner of my own building consultancy, I felt the need for a well-rounded business education in order to promote the growth of my company. The Global MBA proved the perfect opportunity, introducing me to a wealth of practical skills – from negotiation to strategic management, and to a world of contacts. One thing I truly appreciated about the programme is its diversity – through my studies, I made friends with classmates from all corners of the globe. Interestingly, a lot of us ‘broke’ the MBA rules by engaging in important life events throughout the course of the degree. The fact that we managed to graduate with flying colours is testament to the flexibility of the programme – which gave us the room to juggle work, family and study commitments with ease. Today I can proudly say that 'I did it' - thanks to the built-in support of the programme and to my coursemates! Having been promoted to position of the Head of Finance Department in my firm, I saw the need to arm myself with managerial knowledge rather than being exclusively focused on finance skills. 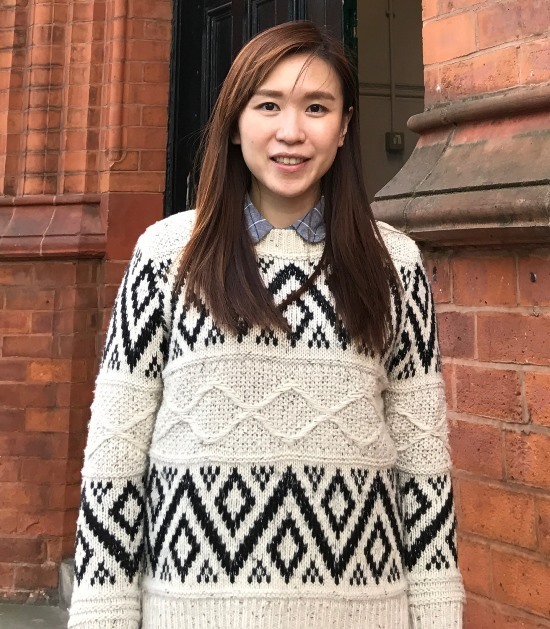 I chose the Manchester Global MBA over local MBA programmes because of its strong workshop system and world-class faculty, as well as the opportunity to study in English. My journey is not without its ups and downs, as I juggled study, work and family. But it is a worthwhile journey – through the degree, my problem-solving skills increased, my communication skills improved, and my ability to manage my team even under high pressure has been strengthened. On top of this, I met many excellent people from around the globe through the degree, thus widening my network no end. As a pharmaceutical and medical device executive looking for career advancement, the Global MBA is a perfect fit for my ambitions. By broadening my cross-industry knowledge and my international networks, it allowed me to become a better manager and a keener strategist. One of the highlights of my MBS journey was undoubtedly attending workshops in Manchester, where I met students from a diversity of cultural and professional backgrounds. The graduation ceremony - which took place in the architectural splendour of Whitworth Hall, was another unforgettable experience. Upon graduation, I immediately engaged in a number of charity initiatives with fellow alumni members – it is this spirit of continuous giving and constant learning that distinguishes the MBS community from the pack. Manchester Global MBA elevates my career by equipping me with a wide range of knowledge. I am able to understand, analyse and find solutions for most on-going issues on finance, accounting, operations, international business, marketing and company strategies with the cases and theories I learnt from the programme. The up-to-date course materials allow me to apply the solutions instantly in my work. In the programme, rather than just canned knowledge, theories are substantiated with real-life examples from companies. The learning process, hence, was very effective and constructive. Moreover, as we were assigned to analyse our own company with the skills learnt, the homework could be applied to my company and so solve real problems. As I discussed my assignments with my company’s managers, the learning went both ways. On one side I learnt from their experience of managing the company; on the other side I was able to provide them with my new insights and directions, learnt from my MBA. Theories and actual examples about shipping were challenging, but it was a great way to learn and understand the problems in depth. I was promoted to General Manager in the first year of holding my MBA and there is consistent improvement in my overall results. 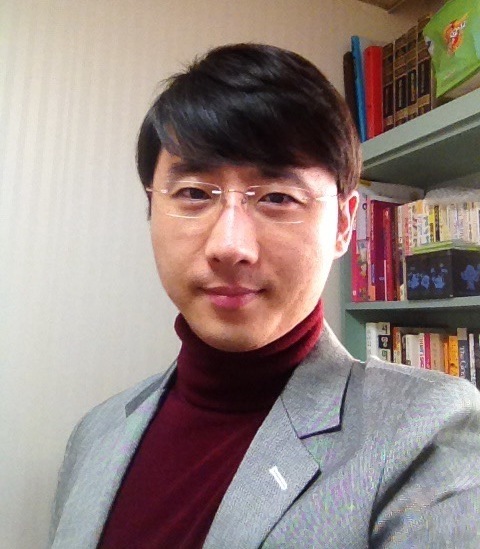 After working for 11 years as an IT engineer, I am now the Senior Manager of SK Holdings. In searching for the optimum managerial programme to broaden my horizons, I discovered that Global Part-time MBA stands out as having the most flexible and practical framework among all the MBA programmes in the UK and the US. What I like about this MBA programme is its flexible mode. Given that the programme combines online and offline studying methods, I don’t have to worry about career discontinuity, and can adjust my schedules to catch up with the syllabus. I am also impressed with the fact that the professional academic faculty comes with a wealth of practical experience. The professors brought live business cases into the classroom, and presented us with real challenges as distinct from text book exercises. Spanning across the globe, the School also tries to sustain a variety of specialties and cultural backgrounds in its students. The visits to other centres over the world gave me the opportunities to delve deeper into their culture than by just visiting as a tourist. In the meantime, I have to date finished nearly half of the workshops in my base centre, Hong Kong. 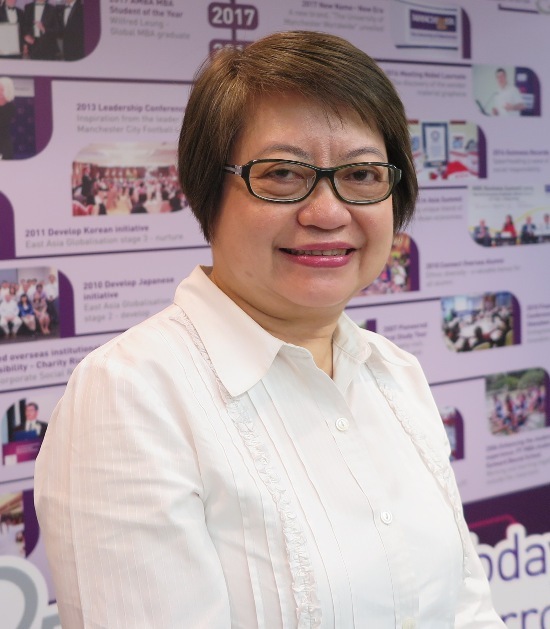 And based on my personal experience, the Hong Kong staff work serve as an effective bridge between local and international students and the school office in the UK. I decided to take an MBA course because it provides an opportunity for students to participate in international conferences as well as to interact with global executive representatives. Moreover, I thought I would be able to use the methodologies and theories learned through the MBA courses in my current work. Thus I decided to take an MBA course. I chose Manchester Business School for its reputation, course contents and student support facilities. It was also partly because a good friend of mine strongly recommended MBS to me. The MBA program met my expectation as it provided me an opportunity to interact with classmates from different countries and participate in workshops. Furthermore, I was able to gain some first-hand information of different private industries around the world, through interacting with other students, it was possible to discover new business opportunities. For the advantages, I think distance learning program allows a larger flexibility to maintain a work-life-study balance. Also, the financial burden for a part-time MBA is smaller compared to the full-time MBA. Moreover, I was able to apply what I have learned in my current work. Another benefit of this course is to have opportunities to interact with other students with international perspectives through workshops. Therefore I would definitely recommend this course to those who want to gain practical skills and knowledge. 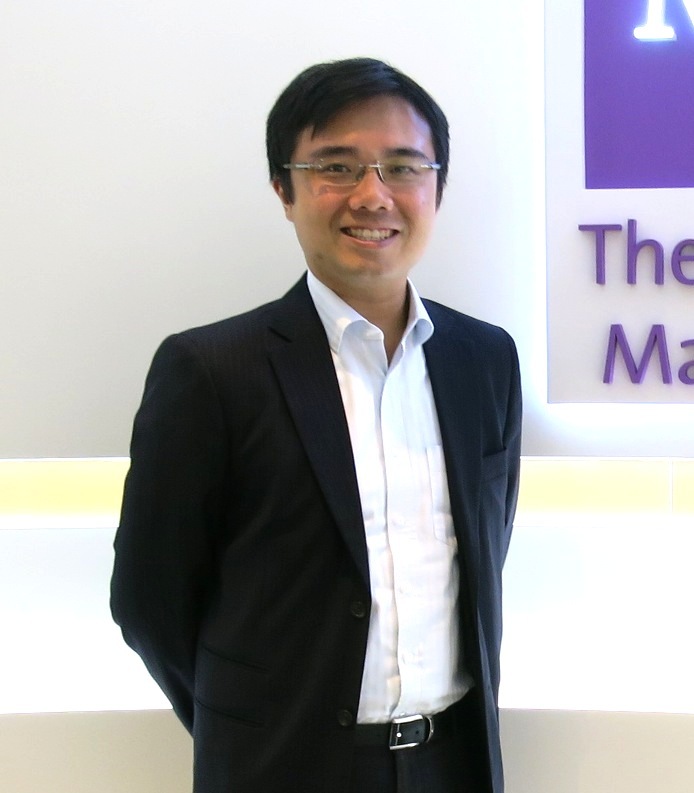 Henri took his high-flying career at EY to whole new levels after embarking on the MBS Global MBA. 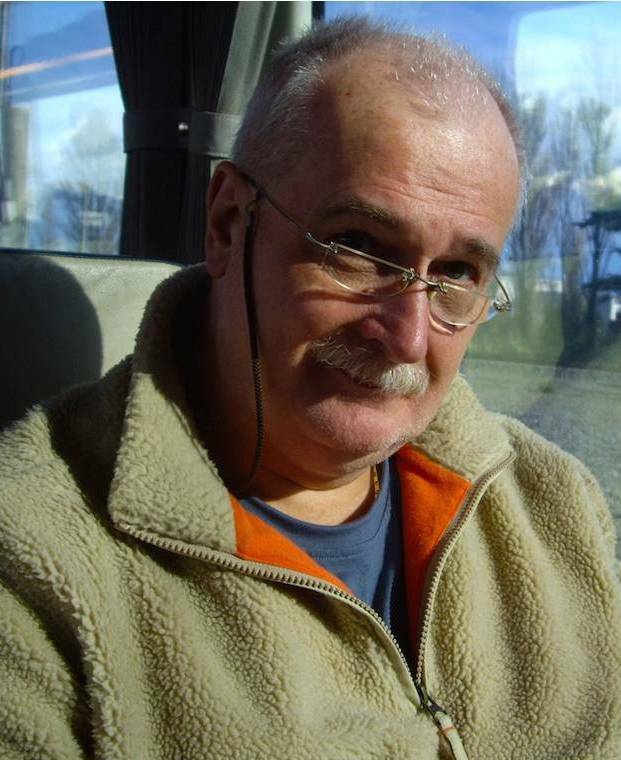 'I benefited no end from the flexible, workshop-based approach of the degree. What attracted me to MBS in the first place was precisely this flexibility in managing workshops around my packed travel schedule, while still providing face-to-face teaching, group work and networking opportunities. Given that I am a frequent traveller, this is a godsend. I also relish the opportunity to meet new people from a variety of employment, skill and cultural backgrounds – people who go beyond my tightly-knit financial services circle. At the same time, I gained significant knowledge in subject areas I had not been previously exposed to, including strategy and operation management, while enjoying a refresher on my core strengths in finance and accounting. The course struck me as deeply practical – I was able to take away many concepts from the MBA modules and apply them to my role, especially the strategy subjects, which allowed me to gain new perspectives on global companies. As a project manager of IT system integration and maintenance for more than 15 years, I felt the need to upgrade myself in terms of managerial smarts through an MBA degree. 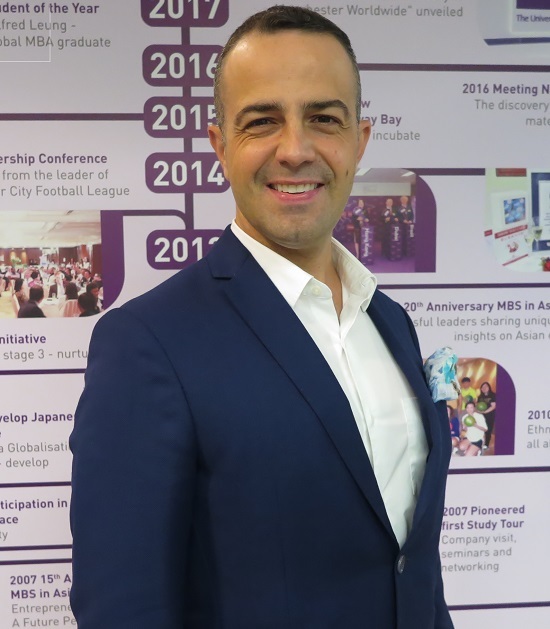 The Manchester Global MBA fits my needs perfectly – not only is it highly prestigious, but it also boasts a diverse cohort, through which I came to appreciate different cultural perspectives. Through the MBA studying, I was assigned to a new job position which involves fundamental skills in marketing and sales strategy - areas in which I had little previous experience, but which was extensively covered by the degree. 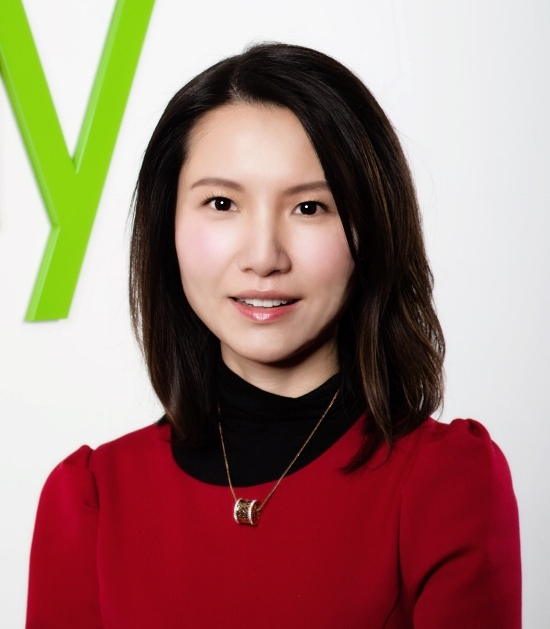 This is precisely why I decided to study for an MBA in the first place – to gain skills I can apply directly to the workplace, and to accelerate my career. 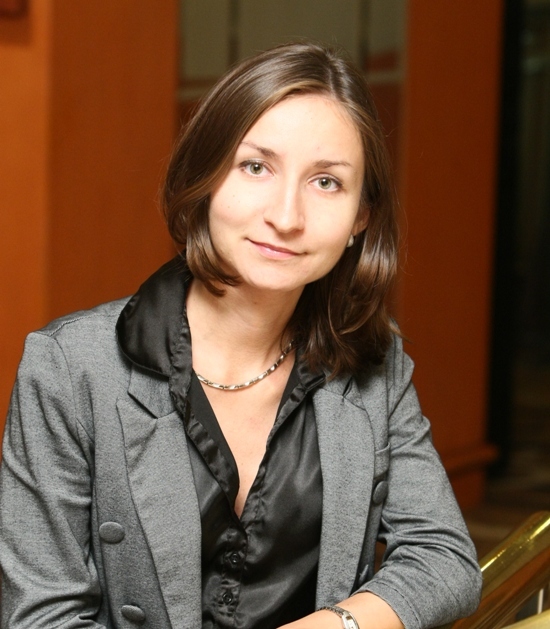 Why did you choose your MBA? I was trained as a scientist with no prior business education. After working in non-profit organization management for a few years, I realize it would be essential to learn the management skills and knowledge in a structured and systematic manner. The MBS part-time Global MBA programme offers the flexibilities and practicality which helps to keep a good balance between studies, work and personal commitments. The teaching puts an emphasis on the practice-based approach with the Manchester Method, learning by doing, with real life case studies and projects. What support do you receive from MBS? The MBS East Asia Centre has been in Hong Kong for over 20 years with a local team providing excellent support to the students. Each student is provided with access to the wealth of online teaching materials and the electronic library at Manchester. 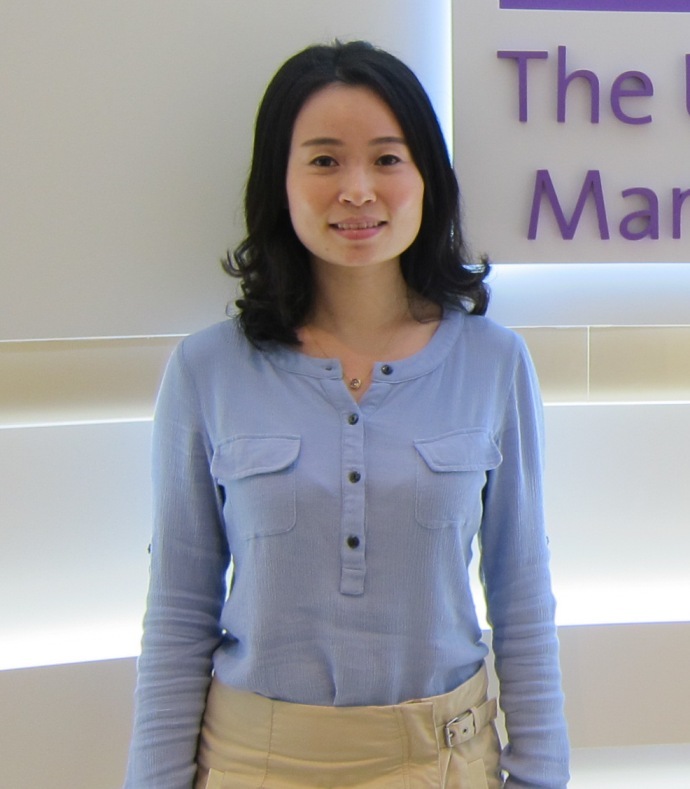 MBS and the University of Manchester have an extensive network of alumni in Hong Kong with diversified professional backgrounds. 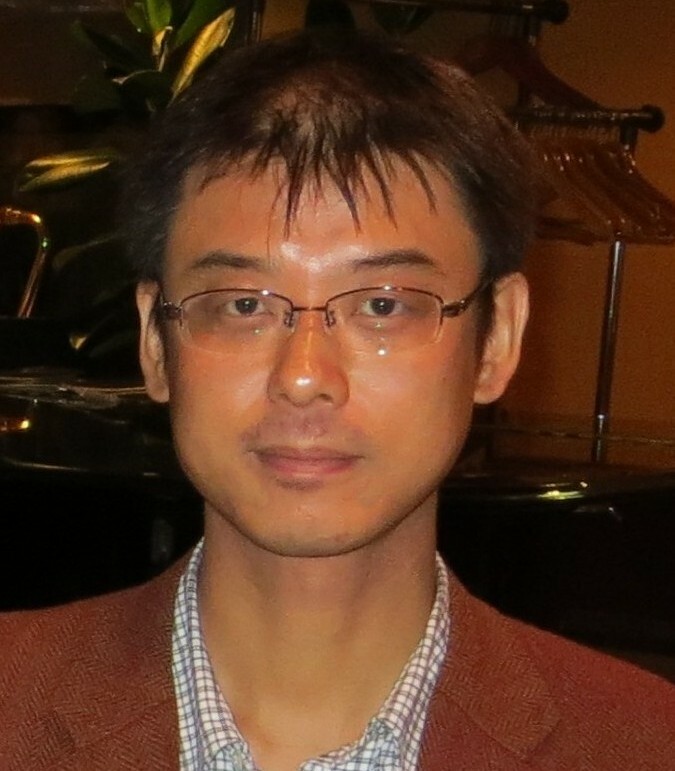 The MBS Alumni Association (China) is one of the most active alumni communities globally with regular networking and social events held throughout the year. The Centre also organizes regular professional seminars and joint business schools events for students and alumni. Getting an MBA degree was my dream all along. 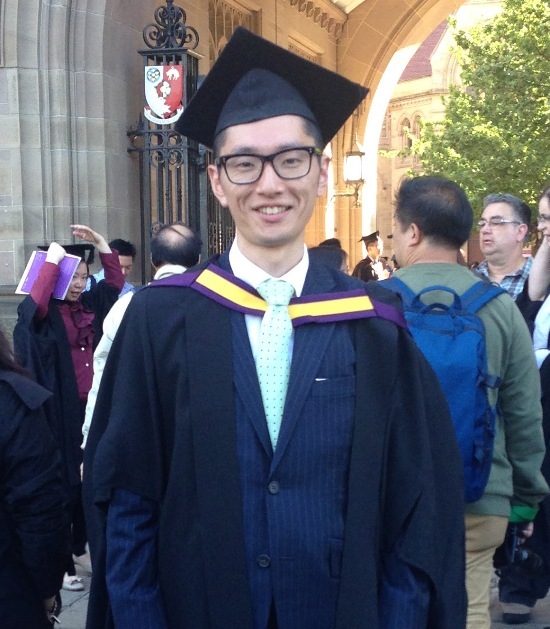 I am extremely glad that I have accomplished this milestone at The University of Manchester. My deepest gratitude goes out to all my professors and my new friends in the University global family, particularly my classmates from the January 2015 cohort. 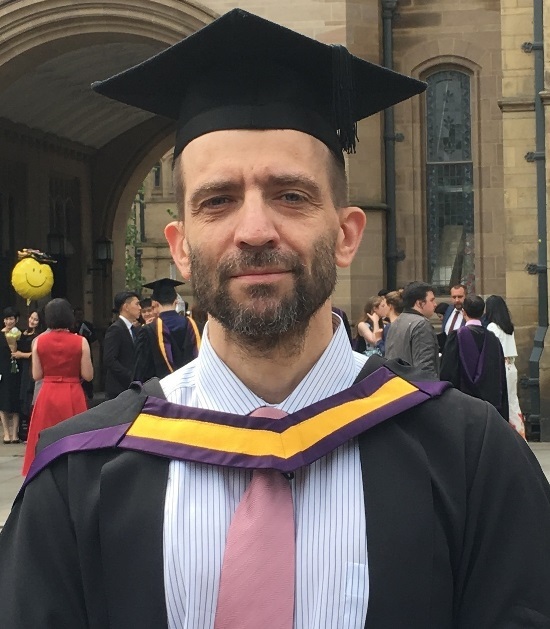 I stress that the Manchester Method – Learning by Doing, has been the key to success: Towards the end of my MBA journey, I moved onto the next level of my career in the banking industry – from Branch Management to District Wealth Management. This is a clear result of my study experience. This journey has been chock-full of happy memories. One of the highlights of my U.K. study trip was watching Manchester United live with my classmates from Hong Kong. 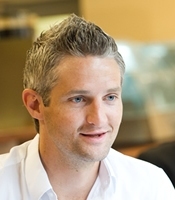 Having more than 11 years of working experience in the private sector, I was attracted by the ‘Original Thinking Applied’ and ‘Learning By Doing’ features of the MBA programme. The programme has indeed been very practical and useful for me in applying what I have learnt in the classroom directly to my work place. The workshops I attended also focused on team-building activities, thus allowing me to interact with classmates from different cultural and business backgrounds, helping to broaden my perspective on doing business. Having progressed from a system engineering post to a management position in sales and marketing, I feel the strong urge to acquire knowledge about international business development, communications and strategic planning to deal with upcoming challenges. The programme was a godsend—it was comprehensive, international and flexible. Not only did I acquire updated and useful knowledge from remote learning, I also got to attend the Advanced Strategic Management workshop held on the U.K. campus. It was a miracle moment as I reconnected with all the friends I had met in some previous workshops. To top things off, my study group spent days sightseeing in Manchester and Amsterdam afterwards. All in all, I am very excited to have established a global people-network which is an invaluable asset to my personal and career advancement. My company is headquartered in the U.K. and expanding into the Asian market. Since the programme is comprehensive with an international perspective, it will allow me to gain insights into the various market environments and practices, as well as modern management skills. I also attribute my transition to management level to the practical and globally-faced programme. 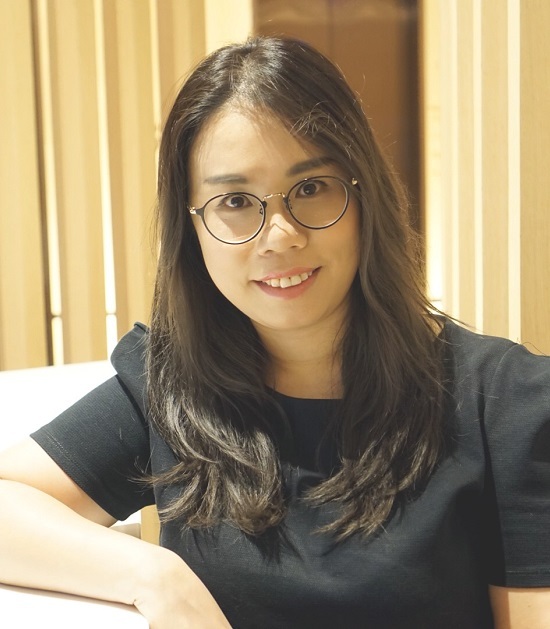 Upon completing the MBA programme, I felt much more ready for fresh challenges—and my efforts paid off tremendously when I was first promoted to a General Manager position and later joined my current company. These are thrilling steps forward, and I have the Manchester Global MBA to thank for that! 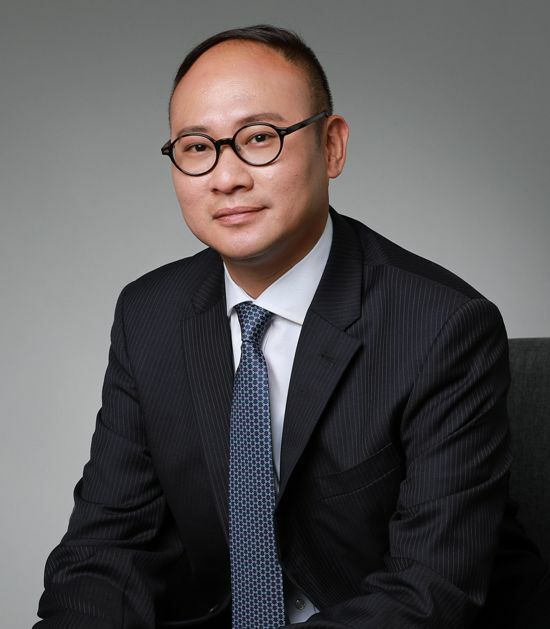 William Lee had previously taken on various financial management roles within the Greater China region. 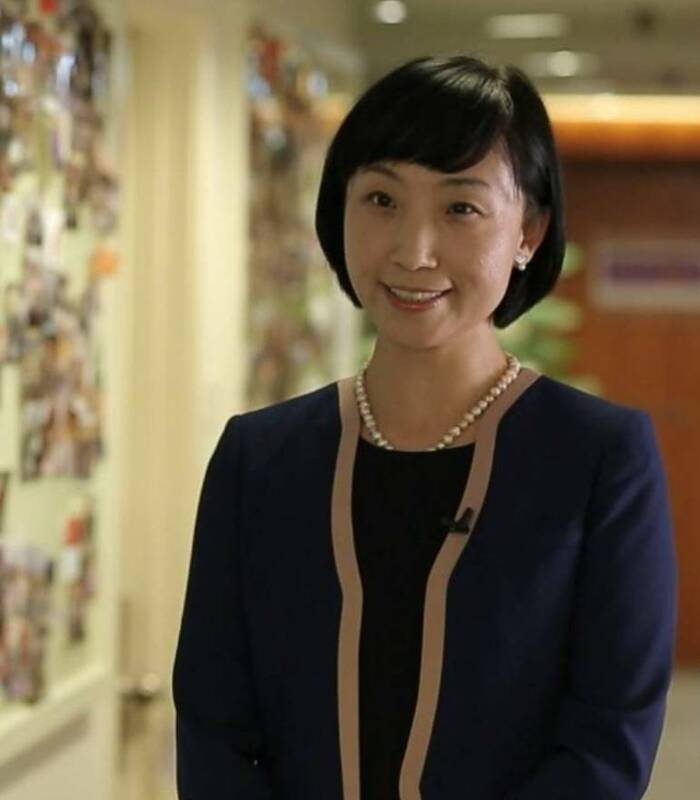 When I moved to Hong Kong in January 2009 to take up my position as the Senior Regional Mortgage Leader for Asia Pacific at The Hong Kong and Shanghai Banking Corporation Limited (HSBC), I was also looking for the right MBA program to boost, surprisingly, my confidence. It was a very practical course. I was able to apply what I’d learnt from the course directly into my working life. 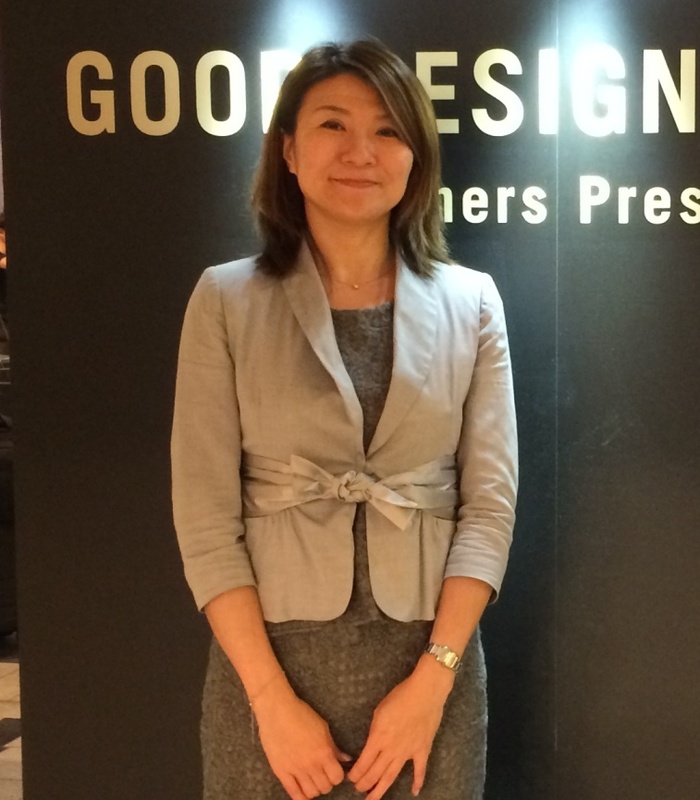 For example, to support my MBA projects and assignments, I would arrange to meet the senior leaders at the bank. For an assignment topic on motivation I met the HR Director for HSBC Asia and when a question for marketing needed to be tackled I sat with the Marketing Proposition team to get a practical understanding of how they approach the problems in real life. The benefits gained from the programme will last throughout my career and I’ve recommended three people to do the course at Manchester. In the first place, one important factor that attracts me to enroll in the Manchester Global MBA programme is the motto of the School – ‘Think Global’. When I first dabbled in the healthcare industry, I started to struggle with strategic planning, or analysing projects from the management or financial perspective. But the programme taught me to think methodically, logically and comprehensively, approaches that can be applied in practice. Studying at the University of Manchester has paid handsome rewards, as I have been promoted to the position of Marketing Manager at work. I have received recognition for my strategic marketing plan, so that now I get to contribute to the corporate branding plan. The East Asia Centre isn’t just concerned with teaching, but also actively encourages bonding between local and international students. My fellow students of the East Asia Centre in Hong Kong were hard-working, cooperative, smart and kind. They spared no effort to accomplish the mission and to overcome challenges. I am very proud to be a part of this distinguished cohort. As a person of keen ambition but with a hectic schedule within the hospitality industry, I find the Manchester Global MBA a perfect fit. Not only did the degree equip me with skill-sets in areas as diverse as human resources, operation management and finance, it also introduced me to a wealth of networking opportunities – I love meeting new people and learning about new cultures, and this degree proved an ideal gateway, as I undertook modules in Hong Kong, Manchester and Shanghai. In terms of knowledge, I am enriched no end by the programme. Its practical nature means that many skills can be directly mapped onto real-life situations – e.g. having better communication with other departments during meetings. All in all, I believe that I became a better, more analytical manager because of my studies at MBS – at no expense of my family duties! I believe that MBS offers the perfect combination of distance learning and face-to-face interaction, besides being a university of stellar repute. One of my most memorable moments from my years of study was probably my visit to Rio de Janeiro in Brazil for one of my electives “Doing Business in Brazil’. With its emerging economy and amazing culture, Brazil had always captivated me, and when MBS offered an elective there, I felt like I could not give it a miss. On another note, getting my MBA at MBS had certainly helped my career progress, as it taught me to see the bigger picture as a business manager. I was also supremely grateful for being given the ‘Merit’ award for my studies. I’m not a perfectionist as I don’t believe that perfection exists, but I always give things my best shot—I’m focused and not easily side-tracked. With no peer pressure or regular classes to force you to stay ahead, what success boils down to, ultimately, is all based on internal motivation. Manchester Global MBA fits perfectly with my expectations: offering part-time programme, regular workshops and globally diversified environment. I think the programme has fulfilled my expectation of offering comprehensive business knowledge and challenging experiences. 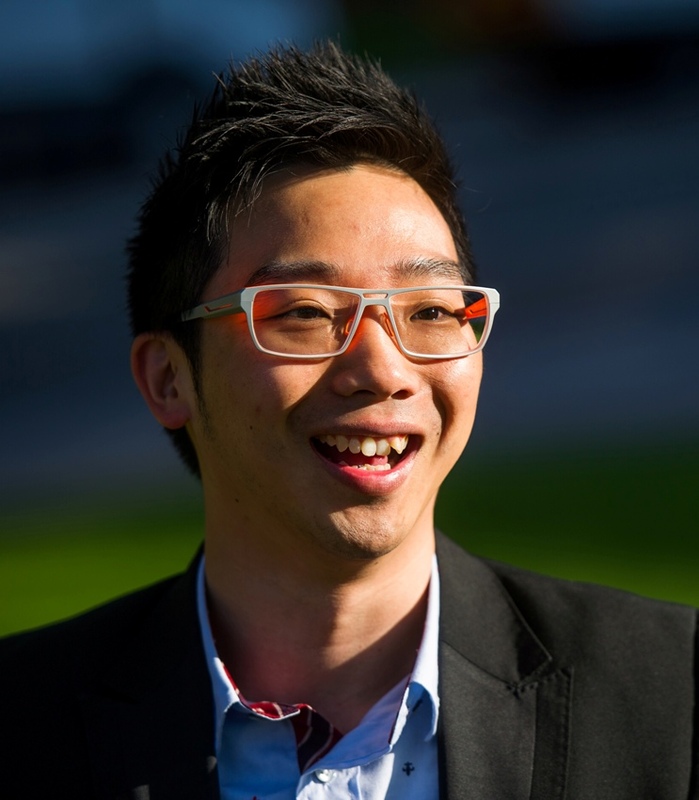 The programme has enhanced my marketing skill and will support my career goal to manage global business. The programme can help people switch from one position to another smoothly. 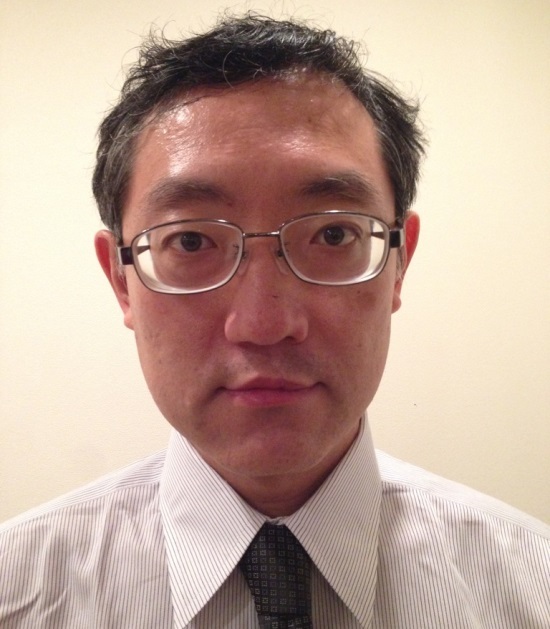 I changed my job from a Japanese IT company to an American healthcare company, simultaneously with the start of my MBA. It was a big change for me. Since then, I have kept developing my career as a marketer in healthcare industry. The programme really did contribute to my career development by providing practical frameworks, knowledge and learning opportunities of working closely with people from different countries. I think Manchester Global MBA is practical since it encourages students to retrack back and forth between the course and workplace. We can apply what we have learned from the programme to our workplace immediately. I did find it practical to apply marketing, strategic management and negotiation frameworks to my job, which we sometimes cannot easily obtain in daily working. Every time I travelled to different centres for workshops, I was excited to commute to schools in unfamiliar places and to encounter classmates from elsewhere. I learned many things from them and greatly broadened my perspectives. As a CPA with 11 years of experience in the financial sector under my belt, I felt ready to widen my career opportunities with an MBA degree. The Manchester Global MBA is my ideal choice as, having spent my undergraduate years in the U.K.., I prefer a highly reputable U.K. institute for postgraduate studies. My MBA journey was not without its challenges. I welcomed my second child to the family just as I was starting the programme – time management therefore became crucial as I juggled work, study and family commitments. Ultimately, I find that not only did the degree raise my people management and leadership skills – being part of a study group was an invaluable experience, it also brought my career onto a whole new level. I decided upon this MBA with the aim of perfecting my English language skills, to gain knowledge in finance, to strengthen my I.T. skills and to establish a global network, in order to further my long-term business career. The benefit of this program offers me two things. First, I can work for my current company as a consultant during this MBA journey. Second, I can deeply discuss and communicate with people with different backgrounds and different industries. 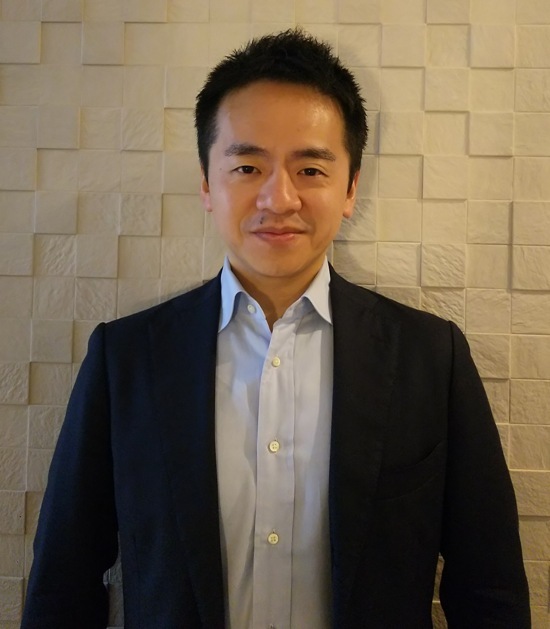 As an M&A expert in Tokyo—I had overseen more than 100 M&A deals, I was hoping to move into cross-border M&A, which would require more international exposure. The Manchester Global MBA did not disappoint. 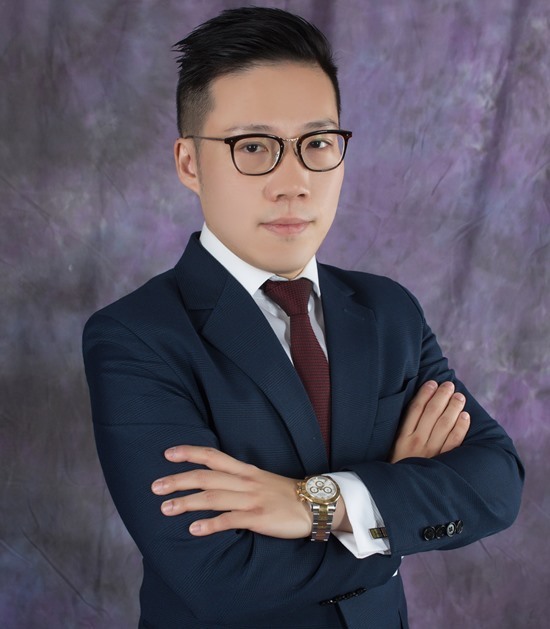 Not only was I given the chance to discuss business-related topics with top professionals in English, it also allowed me to build a solid M&A alliance within Asia. 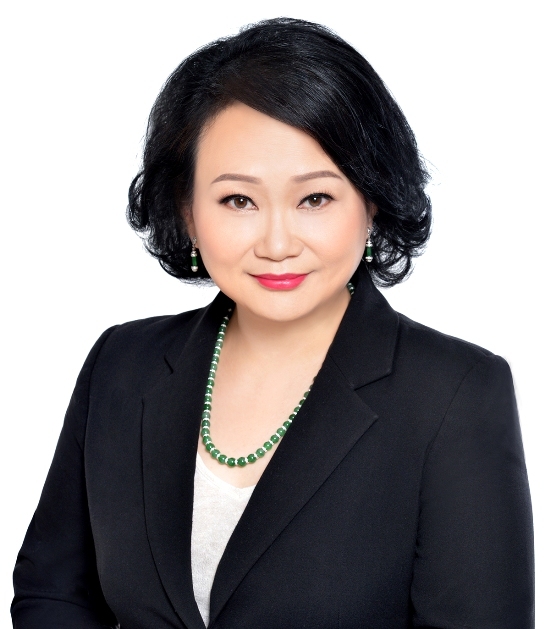 Since embarking on the degree, my career had really flourished—not only had I engaged in more cross-border M&A deals, I am now responsible for expanding my company’s business into other Asian countries. I have even branched off into consultation on strategic management! 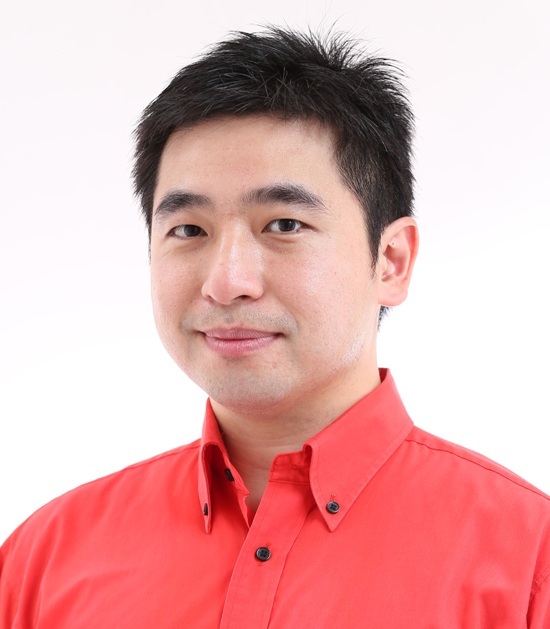 William has an engineering and project management background and has worked in Asia Pacific (Japan and Singapore) since 1994. 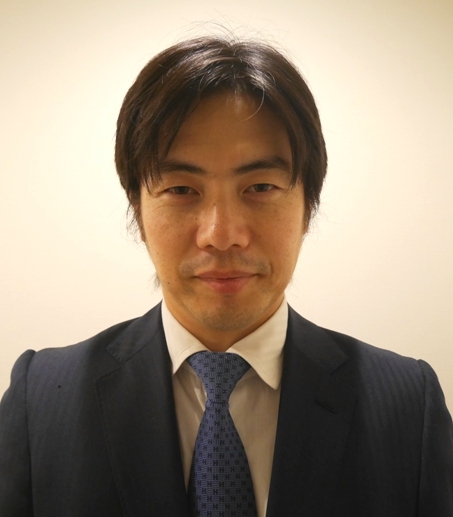 He is currently the general manager of the Japan operations of Moog Inc, an American firm listed on the NYSE (www.moog.com). 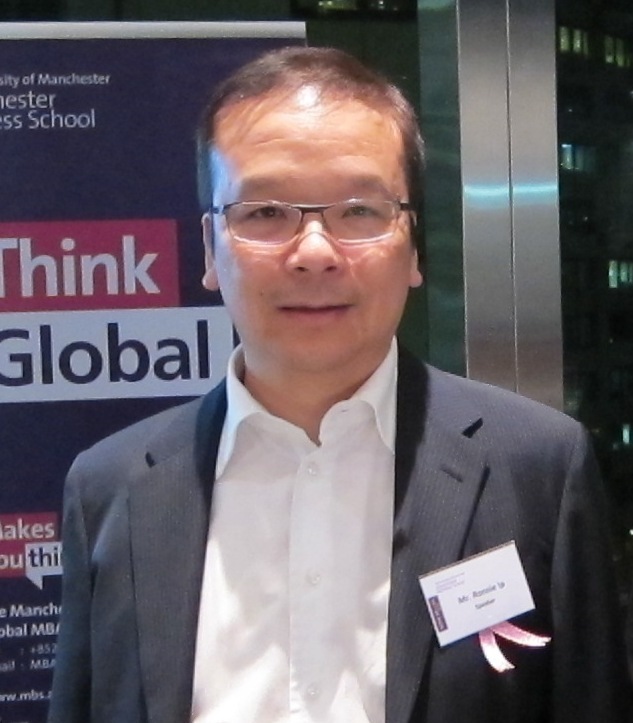 I chose the Manchester MBA because of its accreditations, the course structure (engineering stream, interesting subjects), and the method of delivery (distance learning, workshop component, regional centers in HK, Singapore, Shanghai etc). 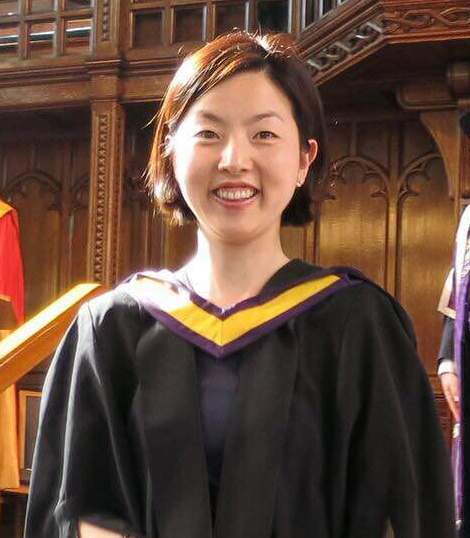 There are not so many MBA course options for people resident in Japan, but the Manchester MBA structure is very flexible and allowed me to balance my studies with busy work and family commitments. I have subsequently recommended the Manchester MBA to my colleagues for these same reasons. Which module do you like best? Why? I’ve always wanted to pursue further studies at a U.K. University. 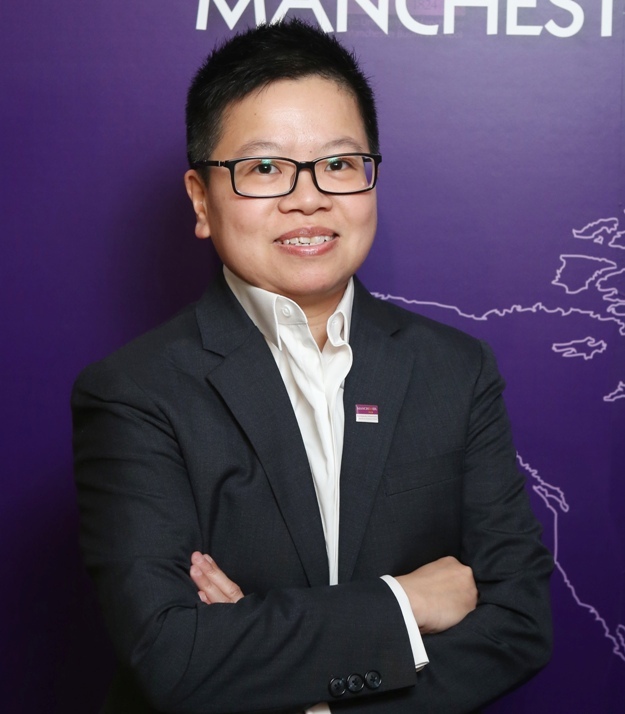 Following a relocation from Singapore to HK in 2014, I made up my mind to join the programme. I was extremely glad I did so. The workshop style of programme delivery and the availability of other centres allowed me to plan my schedule way in advance, while kick-starting many global networking opportunities. 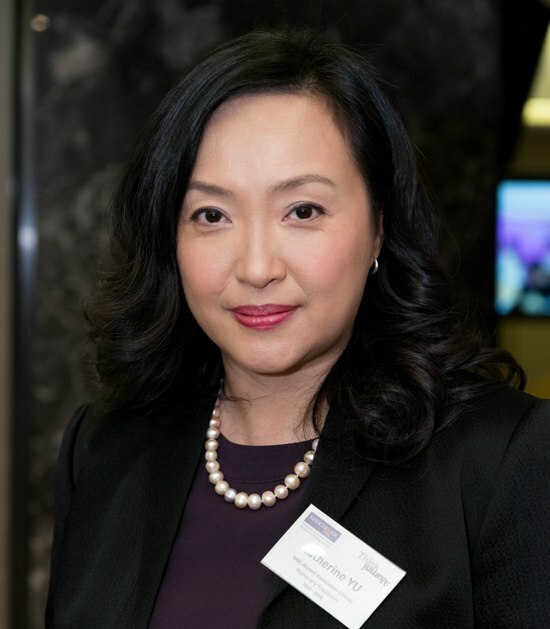 Since joining the programme, my career has reached new heights – I was instrumental in the building of NAB’s research platform in Asia and involved in NAB’s strategy in connecting Australian and New Zealand businesses into Asia. On the academic front, I was shortlisted for The MBA Student of the Year Award by AMBA. 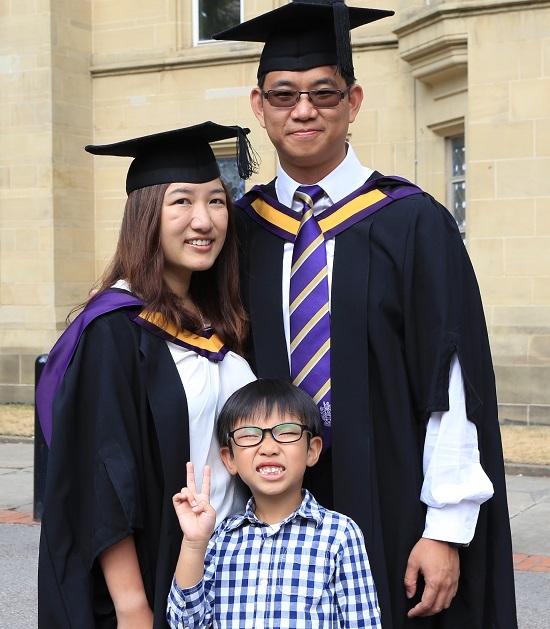 The support from my family, course-mates and the helpful staff from AMBS Hong Kong centre has kept me going – they were the force behind my professional and academic successes. Back in July 2009, when I first joined the MBA intake, I started off from a technical position as Head of Data Management. Throughout my studies, MBS’s MBA modules gave me the chance to enhance my knowledge in areas outside of my original expertise. The combination of marketing strategy, financial management, operation management and supply chain management, in particular, has given me the fundamental knowledge to propel me towards my next position, as Head of Business Process Management. 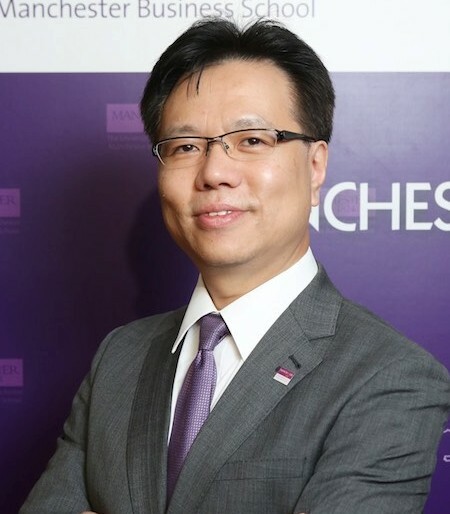 Upon graduating from MBS, by putting into practice what I learnt from International Business Strategy and Strategic Management, I reached my next position as Head of E-Business – which focuses primarily on the digital transformation of the traditional B2B business model, a model my company has adopted. Embarking on this academic journey at MBS is truly a memorable, once-in-a-lifetime experience. Throughout this journey, I encountered a diversity of people from different cultures and industries, all experts, in each and every module– enriching not only my personal knowledge, but also widening my horizons no end. 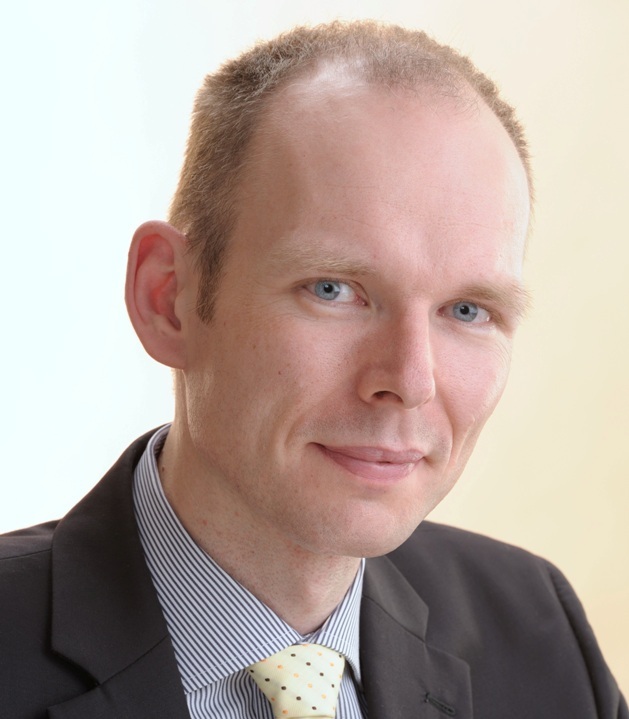 With an engineering degree from the University of London and qualified as a UK chartered engineer, Eric was at a point in his career when he was evolving from an engineer into a senior executive in a highly competitive industry. 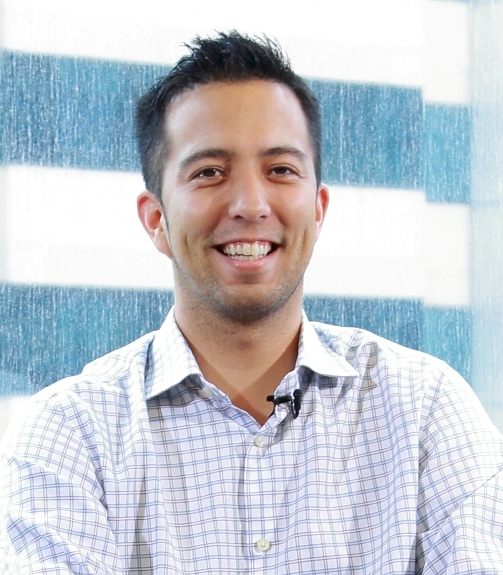 Getting an MBA was exactly the right move and MBS was his choice. 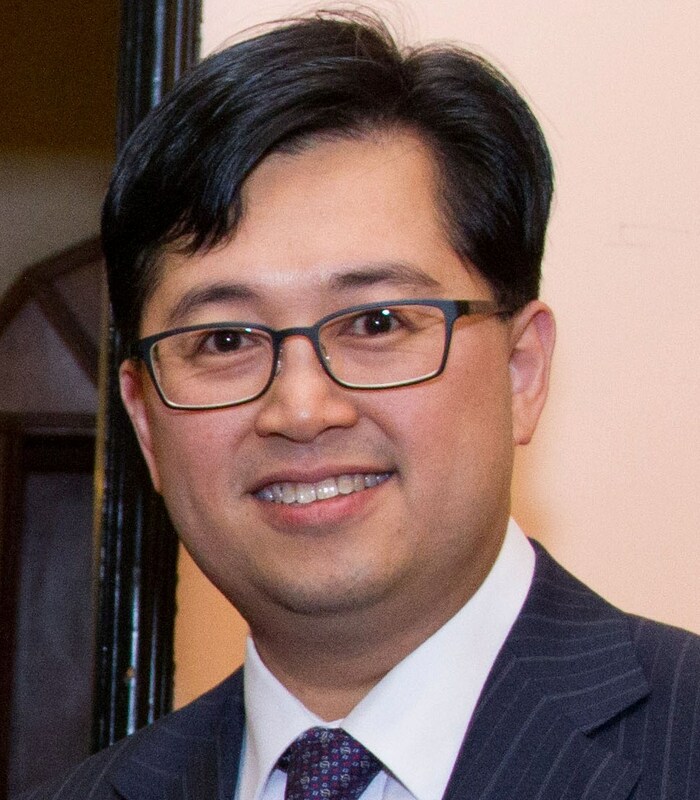 For Eric, the MBS connection brings more than prestige and a link to the academic world and other MBS alumni. It’s a chance share real-life examples and experiences, for example with current MBS students. 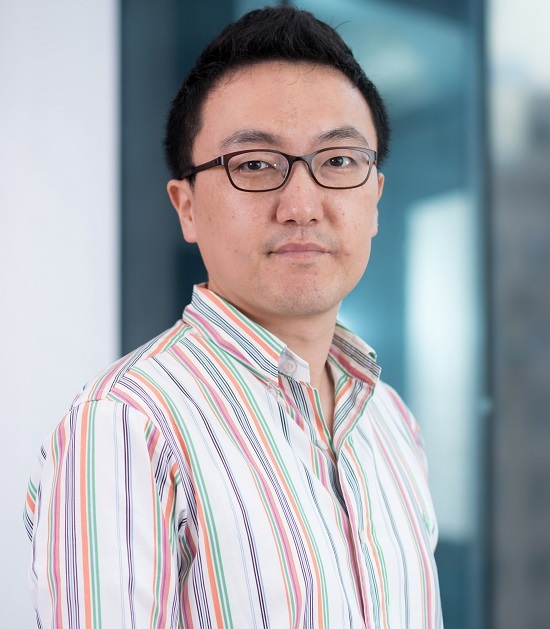 “Even after you graduate, it’s always great that you get to update your management thinking and practices and get to hear from gurus from overseas and here in Hong Kong,” he said. Challenging, practical and fun-filled are the words I would use to describe my Manchester Global MBA experience. As a mother of three young kids, the programme’s “study at your own pace” feature was a godsend, enabling me to finish the degree without attending daily or weekly classes. One thing that has made the learning process so unforgettable for me has been the University’s multicultural offerings and global reach. I would never forget travelling to the Shanghai and the U.K. campuses for workshops, where I encountered strikingly different ways of learning. Professionally, I am thriving. My MBA degree has been positively-recognised by my senior management and has opened the door to further career opportunities. My motivations for pursuing an MBA degree were twofold - to enhance my analytical skills, particularly in strategic planning and corporate finance, as well as to fortify myself with stronger theoretical training. 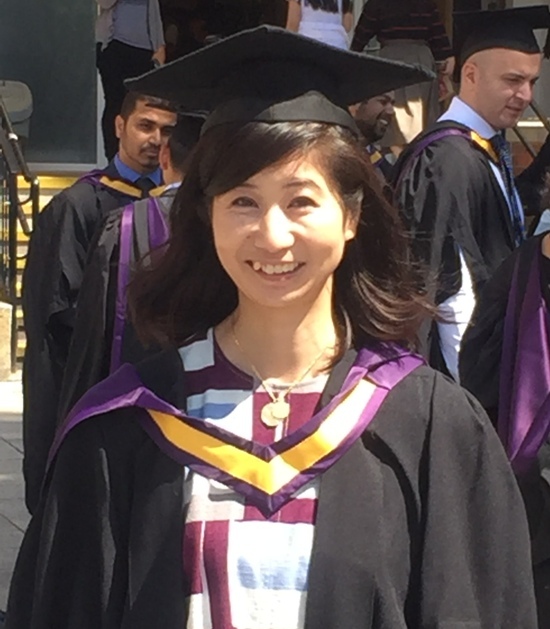 To this end, the Manchester Global MBA fully met my expectations - it proved an ideal learning place, offering programmes which are not only practical but also flexible. From my view, the course assignments and workshops are systematically designed, capturing core concepts in each management discipline. Also, access to the University’s online library allowed me to explore extensive academic resources and go beyond assigned texts. All in all, my AMBA experience has been invaluable – with my professors’ and classmates’ support, I managed to upgrade my leadership and presentation skills, for which I am grateful. 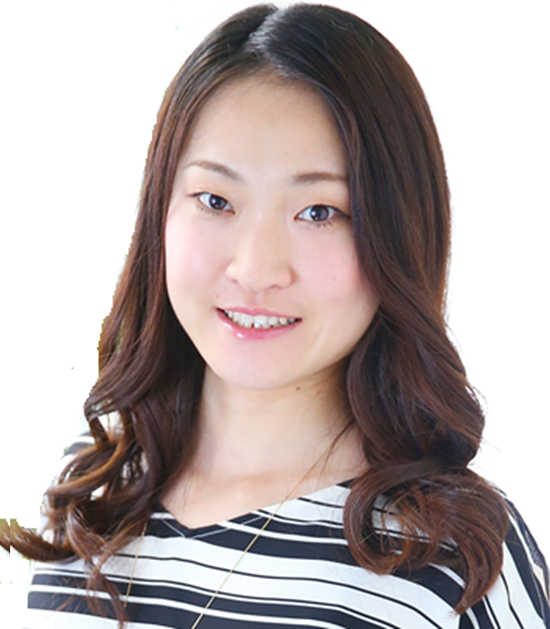 I started the programme as an expat in Japan, working in operations. 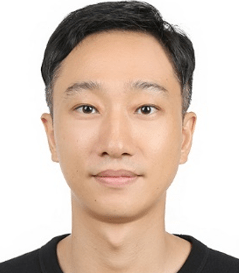 I chose Hong Kong as the primary location for attending workshops because I wanted to expand my exposure to Southern China, and to build a network of contacts in a city that I would want to work in the future. I would say that the connections made were the best things about the programme—through workshopping, I managed to build a network across industries. Several classmates even tried to offer me new work opportunities! Moreover, the programme taught me how to speak the language of executives in high-level meetings—something I initially lacked as I came from an engineering background. Now that I’m relocating back to the U.S., I have decided to continue coming to Hong Kong for workshops, as the connections and friendships I’ve built here are truly precious. 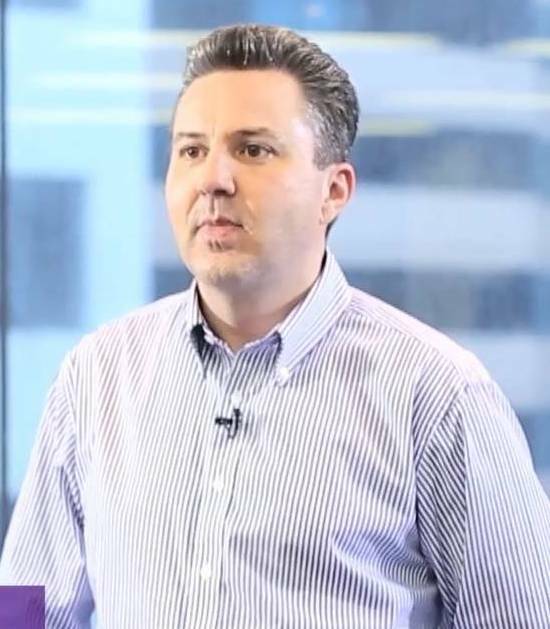 Prior to the current role as Manager at Accenture, I spent over 10 years in the technology and management consulting field in a diversity of regions. What attracted me most to the Manchester Global MBA is the freedom it affords – both in terms of scheduling and location. During the programme, I was mainly based in Japan, but I also got to spend time in Singapore and New York for the projects in my job. Not only was I impressed by the University’s global presence, I also appreciated the flexibility of the programme, which means I can study continuously despite other commitments. Additionally, studying in an international context has sharpened my language and leadership skills, allowing me to become a more open-minded person and a more fluent communicator. My goal in pursuing an MBA was simple – to build upon my two decades’ worth of experience in publishing, media, digital communications, investment banks and international law firms through deepening my understanding of strategy and finance, thus taking my career onto the next level. Manchester Global MBA was a very well-structured programme that allowed me to upgrade and update myself by learning from some of the latest theories and case-studies - knowledge I could immediately apply in the workplace. Since graduation, I have not only moved forward in my career, but have also been inspired to start an entrepreneurial adventure on the side – something I would never have thought of in the past. 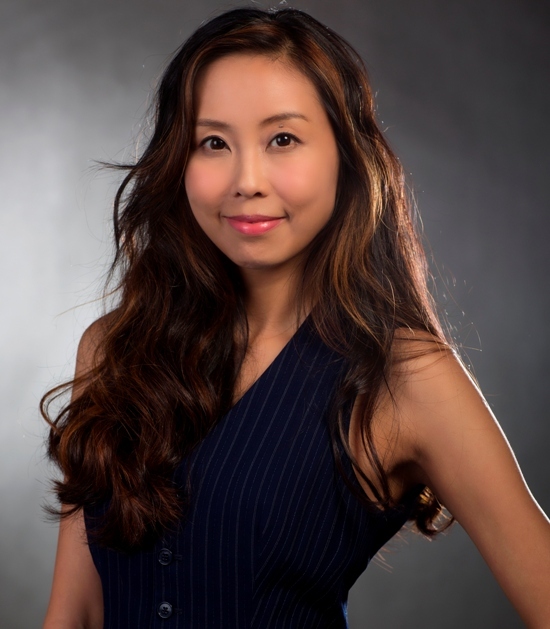 Charlotte Ho is an alumna of Manchester Global MBA programme. 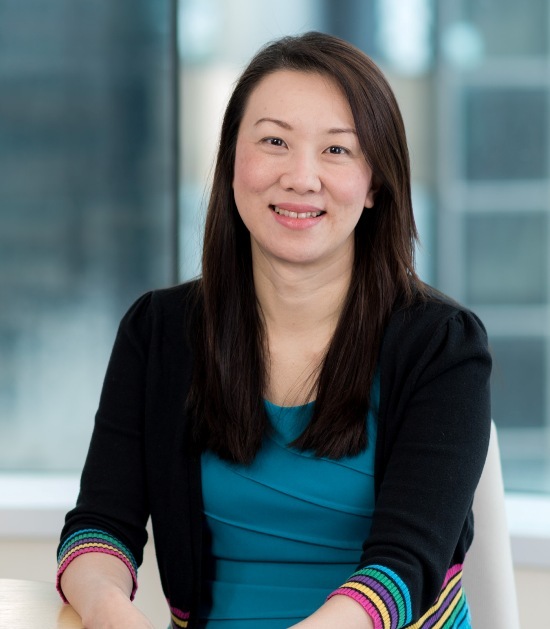 In her current role as a Vice President at Bank of America Merrill Lynch, Charlotte helps to ensure that the audit practices of one of the world’s biggest banks meet regulatory requirements across Asia Pacific. Prior to this, Charlotte was a Director in Legal and Compliance at UBS and has held other roles at global financial institutions including Citi, HSBC and JP Morgan. 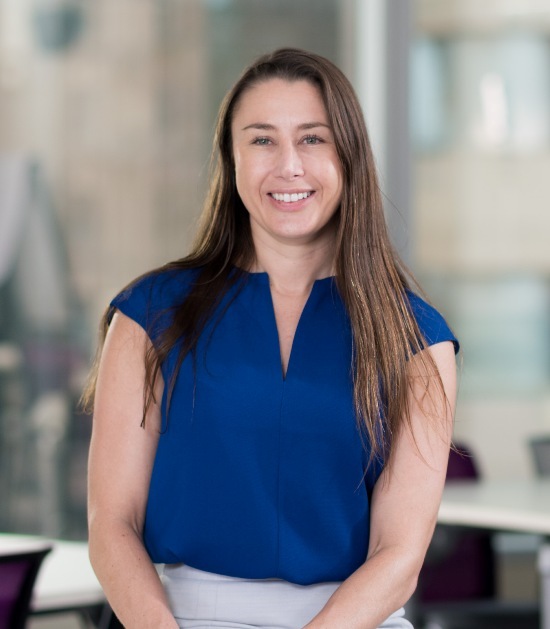 Charlotte was awarded the 2015 Young Business Leader Award by CPA Australia, one of the world’s leading accounting bodies, and values her MBA as a significant factor in her success to date. Charlotte was also a finalist in the Professional Achievement Award category of The Education UK Alumni Awards 2016. Charlotte beat more than 800 high quality applicants representing 110 institutes to reach the finals. Held across ten countries, this award celebrates the benefits of studying at UK universities, and recognizes individuals who demonstrate ‘outstanding achievements which have made a meaningful professional impact upon their communities and countries’. 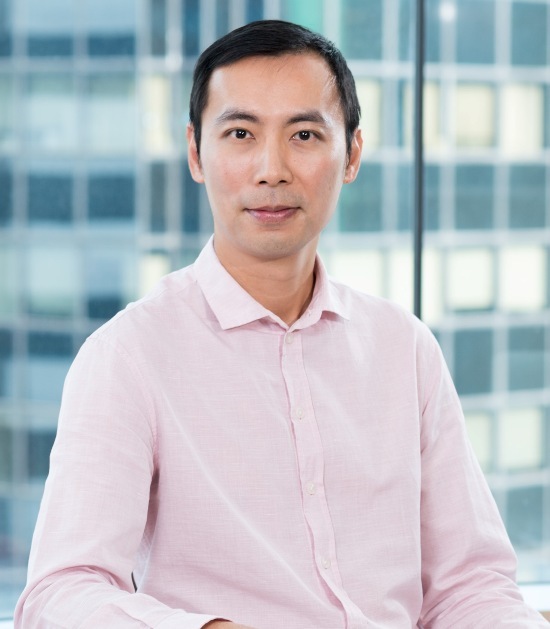 Currently the Head of Audit, Greater China and Managing Director of DBS, Ronnie Ip has long worked amongst the upper echelons of international investment banks, where he was put in charge of Asian operations. 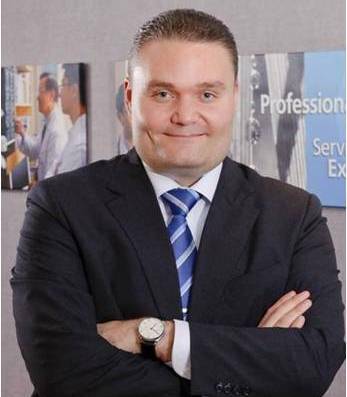 But he insisted on further studies – in 1999, he graduated from MBS’s MBA program, all the while motivating himself with Paul Arden’s book, It's Not How Good You Are, It's How Good You Want to Be, spurring himself onto greater heights. Ronnie points out that lessons not only widened his professional circle, but were also great for practical use – they helped enhance his problem-solving skills. 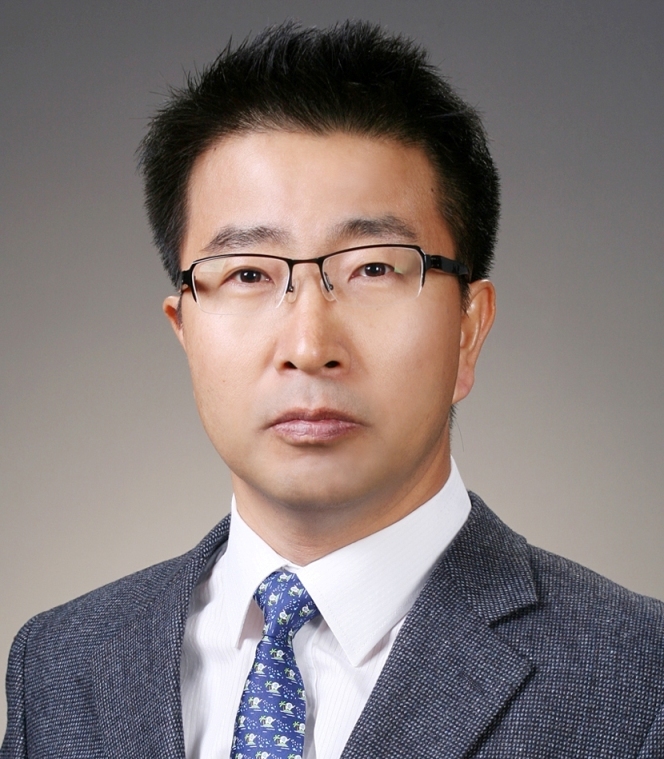 In particular, he had the best impression of the modules Organization Behavior and Human Resources Management, which focused on the teaching of soft skills. The reason for this was thus - before Ronnie joined DBS Hong Kong, he had never come into contact with retail banking operations. 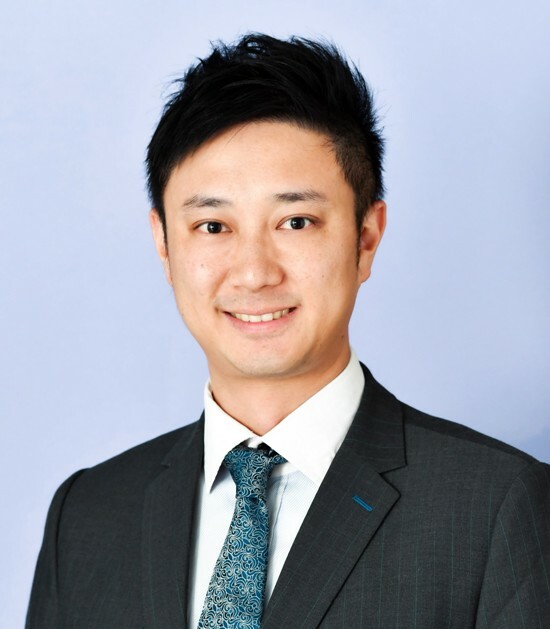 When he joined seven years ago, he was immediately put in charge of reorganizing and enhancing internal audit structure and efficiency, in order to align with the development of Greater China operations, and in order to raise team efficiency and co-operation. The management skills he gained from the MBA, therefore, came in extremely handy. 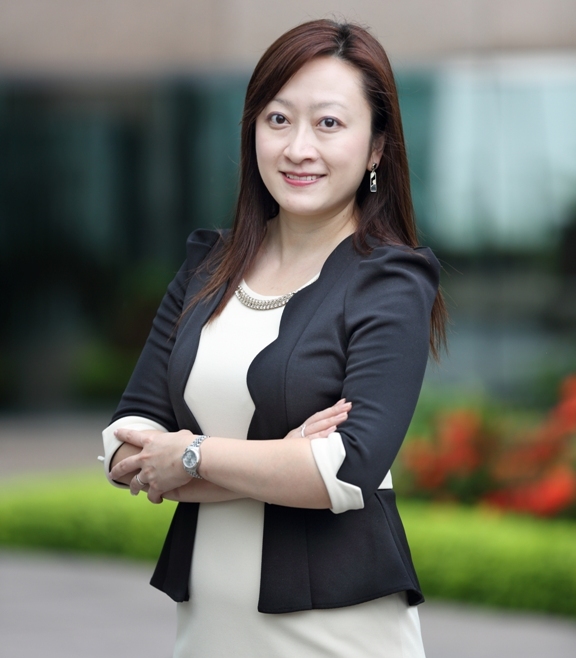 At present, Ronnie’s internal audit team is supporting DBS’s 6000-strong team in the Greater China region. ‘As the head of department, the key is to retain and reward talent, thereby developing staff’s greatest potential. In this respect, the MBA program has inspired me no end. 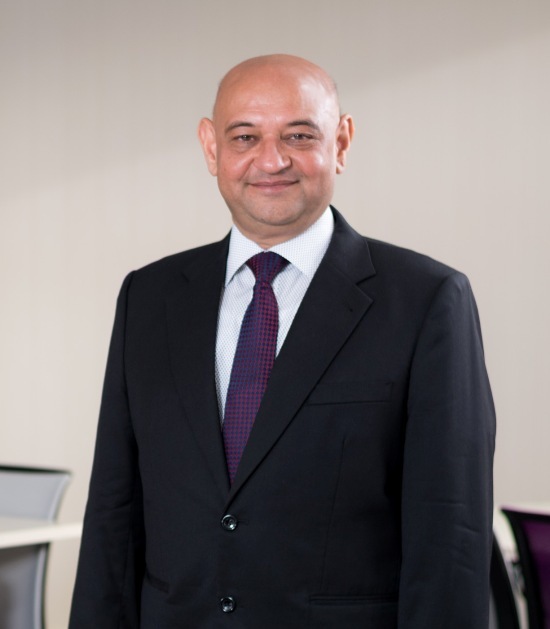 Also, when it comes to making operational decisions, it has also proven useful.’ Ronnie believes that learning environments can change a person’s attitude towards attaining success – such was the power of the MBA. At the same time the program has gathered together many executives from different industries - under their influence, all students were inspired to achieve no less than the very best in their career goals. 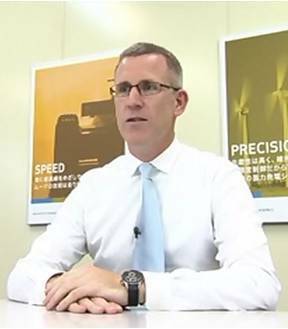 Similarly, in the same spirit DBS is determined to become the best – to succeed as Asia’ No. 1 choice for retail banking. I found this a very international and practical programme—it really helped me in developing all-round business skills and techniques while introducing me to a global network of alumni, which proved so useful in forging new business relationships. 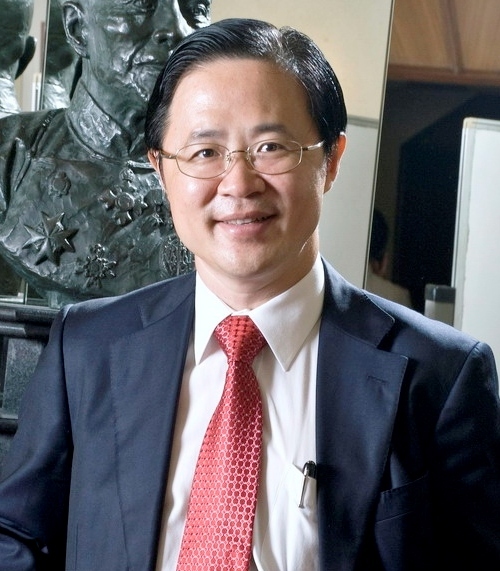 In my opinion, ‘Doing Business in China’ was particularly useful as it provided practical perspectives on how to conduct business on the mainland; on the other hand, cultural analysis in MIBS had been instrumental in helping me develop co-ordination and communication plans between mainland Chinese and foreign partners. I also believed that the practical components of the programme could not be overstated. Throughout the programme, the approach to learning was hands-on—there was video recording and playback in NSSS, on-site visits to companies in Shanghai (such as Metro and Volkswagen), as well as the opportunity to develop a marketing plan for a Japanese chocolate-making business. All in all, I am very happy with the Manchester Method and its global take on business learning! 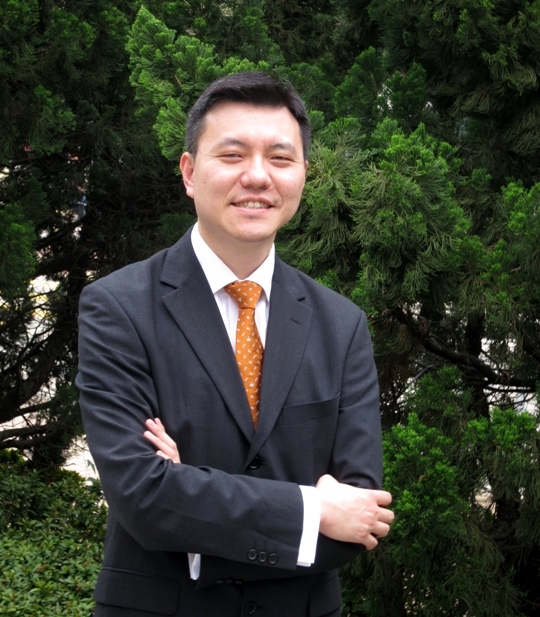 I chose this MBA over many others because of MBS’s reputation—its triple accreditation and its FT ranking, for instance, all pointed towards a stellar degree programme. As I embarked on the degree, I discovered not only core programmes which were highly impressive, but also a global network of friendship that had remained with me to this day. The degree's international slant was definitely a plus—through studying at different centres, including Hong Kong, Singapore and the U.K., I managed to touch upon a diversity of cultural perspectives. Moreover, networking and discussion with students from all corners of the globe provided me with a ‘live’ experience of international business itself. As for the courses, I found them an excellent mix of theory and practice. From case-studies to workshopping, the practical nature of the programme gave me a variety of new and interesting perspectives on management itself, which can be applied to work immediately. But ultimately, it’s the global exchange with fellow students that counts the most—it’s given me friends for life! 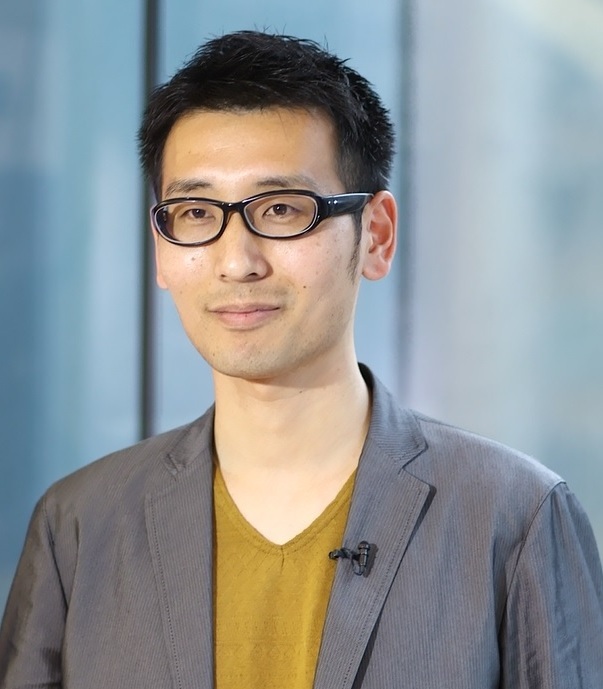 Living and working in Japan for many years, I wanted to build on my earlier management consulting background by strengthening my theoretical study in general management. 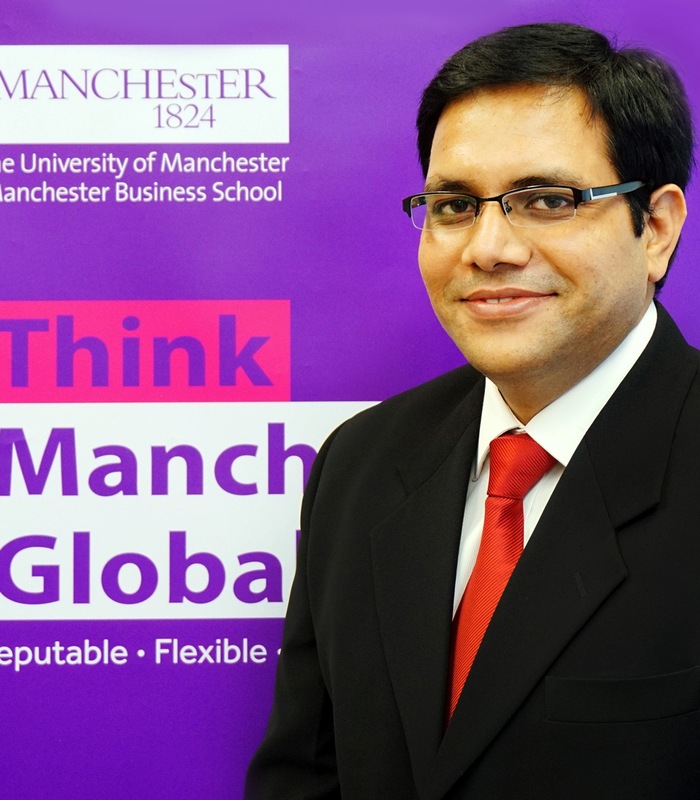 I chose to enroll in the Manchester Global MBA programme because of its excellent reputation and flexibility. Despite carefully planning a study schedule at the beginning of the course, I started getting very busy with work, coupled with multiple MBA modules coming at the same time. However, the programme is structured in such a flexible way that I could still manage to study at my own pace. Advanced Strategic Management was my favourite course of the programme. I completed a 3-day workshop in Dubai with a very international team (participants from Asia, Middle East and Europe). The course was case study-based analyzing a large public company, but we were also free in assignment to focus on any aspect of our own company’s strategy as we wished. I really enjoyed this dual focus..
Back to my work, I have applied the strategic thinking skills I learned on the programme in the workplace and in my decision process. Each year, I lead the company in its strategic planning process, applying thinking from the MBA. With the progressive growth of the company, we now need a much more sophisticated approach to planning than previously, so the knowledge I have garnered from the programme is serving me very well, indeed. Graduating with Distinction, I believes the key to my academic success is consistency and staying motivated throughout the programme of study. 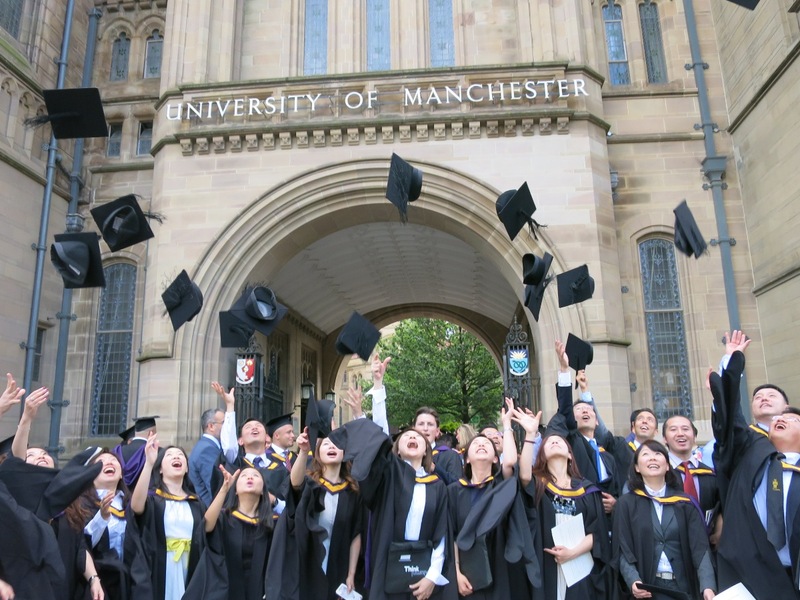 Choosing the Manchester Global MBA was a no-brainer for me – strong program flexibility, top ranking, global presence and a strong alumni network all combine towards a perfect degree. Armed with this qualification, I successfully transitioned from a career in engineering to a managerial role in sales; nowadays, I’ve even boldly embarked on my own business venture. This program was a great mix of theory and practical knowledge—I was particularly impressed with the Negotiation Skill module, which proved extremely helpful in terms of understanding partners and customers when involved in real-life business situations. I was also a beneficiary of the DBIC (Doing business in China) elective, which gave me precious analytical skills when it comes to business planning in a China context. 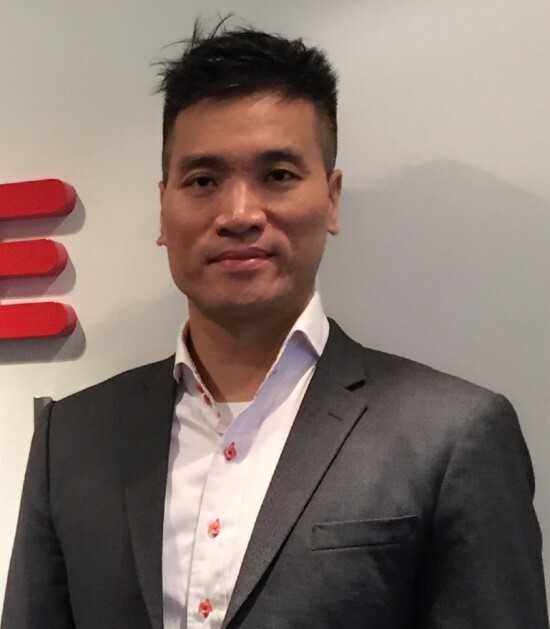 Ultimately, the programme was a driving force when it comes to achieving career advancement – from an ordinary engineer, I have come a long way to becoming the architect of my own company! The program is a great experience for me. It allowed me to interact with people from different walks of life and create networking and learning opportunities which are beneficial for my career. I am so delighted to meet them often in various student or alumni activities even after many years I have graduated. The seminars have finished but my learnings are continuing. I was impressed with the diverse backgrounds of students and highly appreciated the flexibility and teaching quality of the Manchester Global MBA. I had difficulty in taking the scheduled exam as I had to go on a business trip, but the School obligingly rearranged for me another exam venue in Paris, where they don’t even have a centre. Unlike undergraduate studies, this MBA program encourages self-learning instead of spoonfeeding students. The dynamic workshops facilitate more interaction with professors and other students, and help me better grasp the knowledge and broaden my interpersonal network. I have learnt many useful negotiation skills that are essential to my work, and I have revisited business theories for real-life applications. This MBA programme has equipped me for my career development for life. I am a strong believer in life-long learning as it enhances and updates one’s academic and professional knowledge. I have already amassed a number of professional qualifications, so a reputable MBA is a natural extension in terms of complementing my management skills. The banking industry nowadays is highly competitive and demanding. The MBA programme has equipped me with practical tools to develop talents, drive strategies, deliver outcomes and deal with challenges. It is a valuable asset for anyone concerned with career planning. Unlike some quick-fix degrees, the programme comprises a well-developed curriculum based on a genuine knowledge infusion philosophy, and is truly global and unbeatable in its coverage due to the provision of subsidized study at other centres and supervised hands-on research and projects. Networking with fellow students because of the diversity in culture and values was priceless. The diversified network derived from class-attendance in various centres, such as Shanghai, Hong Kong, Singapore and Manchester, facilitates a better understanding of cross-continental cultures and stimulates our thinking. With careful advance planning and online academic support, the MBA programme, to me, is a bliss. Having established my own multi-million dollar business following a merger and acquisition, I grew my consultation practice from purely pharmaceutical work to include the financial and business aspects of healthcare. Realising that more knowledge of business was needed to work with my clients, I applied for our MBA and had never looked back. As a Japan-based student, I found the course an invigorating cultural and academic experience. Not only was it a highly practical programme—business case studies contained components that could be extracted and used immediately, the course was also a good global mix of students—a network of colleagues gained from around the world with different knowledge and experiences. In my 10 years of working experience, I have always thought that being a specialist was good enough for my portfolio. 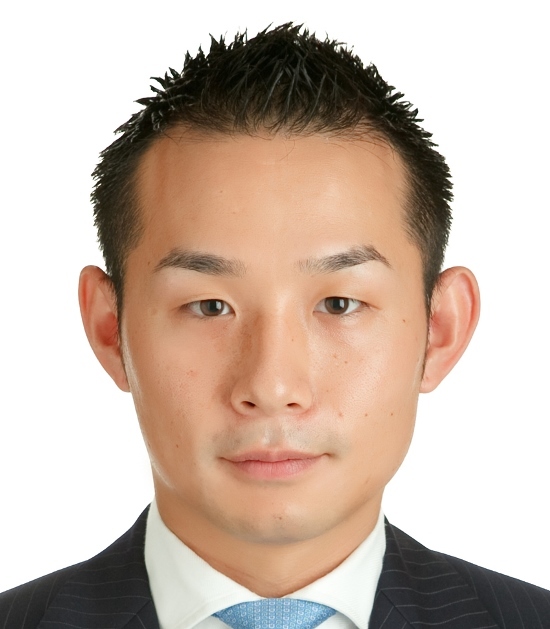 However, I realized in recent years that there is a growing need to be more of a “generalist”, should I wish to advance my career to the management level in any company. With that new-found belief in mind, I thought to pursue an MBA, as I believed that it would be very useful in helping me achieve my next goal in life – which was to climb to a managerial level. Due to my tight working schedule, one of the main deciding factors in selecting the right MBA for me was flexibility – which the Kelley-Manchester MBA clearly provided. Other key criteria for me were the school’s reputation and the global perspectives & network it could provide me. Having an international network and global business acumen was important for me, because we are living in a highly globalized world, with plenty of opportunities to work in multi-national companies, with multi-cultural colleagues from diverse backgrounds. The Kelley-Manchester Global MBA fit these requirements for me perfectly, and I am happy that I get to experience the best of US and UK business education. I am also happy to say that I will graduate with 2 MBA degrees from 2 of US and UK’s most notable business schools. With 8 global workshop locations, I am excited about being able to connect with classmates and peers from all over the world and across varying industries. Other than that, I am also impressed by the highly-qualified faculty from both Alliance Manchester Business School and Kelley School of Business. So far, I’ve had the chance to visit Kelley School of Business in Bloomington, Indiana for orientation and residential workshops. The experience I had while I was there was nothing short of outstanding. I’ve learnt a lot from the classmates I met there, and have since forged close relationships with them. I have since applied to attend workshops in Manchester next semester, and am very excited to be meeting new people from all over the world to add on to my growing Kelley-Manchester network! I appreciate the alumni network and the programmes’ deep links to Hong Kong and the Asia Pacific Region. 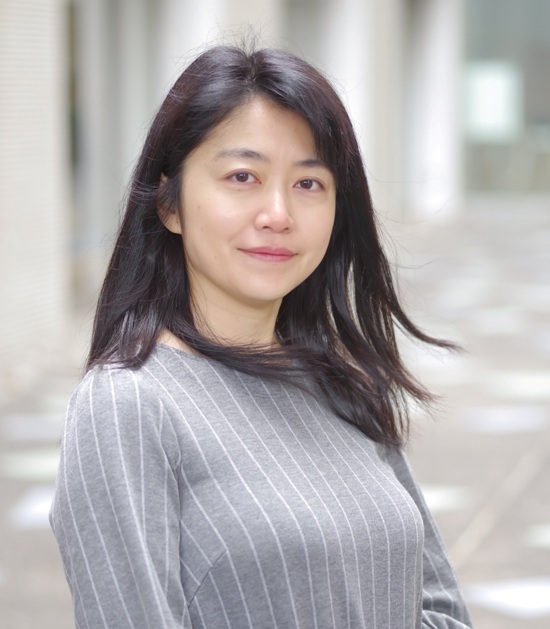 My career really took off in bold new directions precisely because of this programme: I was introduced to my current role as the associate director in the department of Global Media Investment at Huawei by a very smart MBA classmate! Not only were my classmates astute and professional, they brought me new cultural experience. When I attended my International Business Strategy workshop, I had a team consisting of classmates from Oman, Abu Dhabi and the UAE – cultures I never worked with before. Despite the tight working schedule and challenging studies, I succeeded to graduate with flying colours at the same time as welcoming a newborn member to my family. Managing a demanding work schedule while studying was extremely challenging, in particular with a small baby at home – setting the right priorities was essential to succeed as well as following strict time management. A stringent discipline helped me to stay on course as well as a good team that made the time enjoyable. Envisioning the end goal of graduating was vital to keep myself motivated throughout the MBA studies. I’ve been in Asia for about three years now. 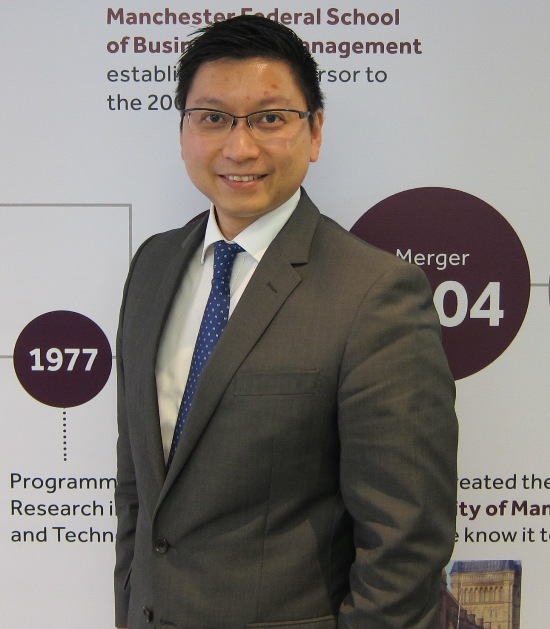 I chose to study MBA with Manchester Business School because it has a flexible way to study. I travelled extensively in my role and I never stay in one location too often. 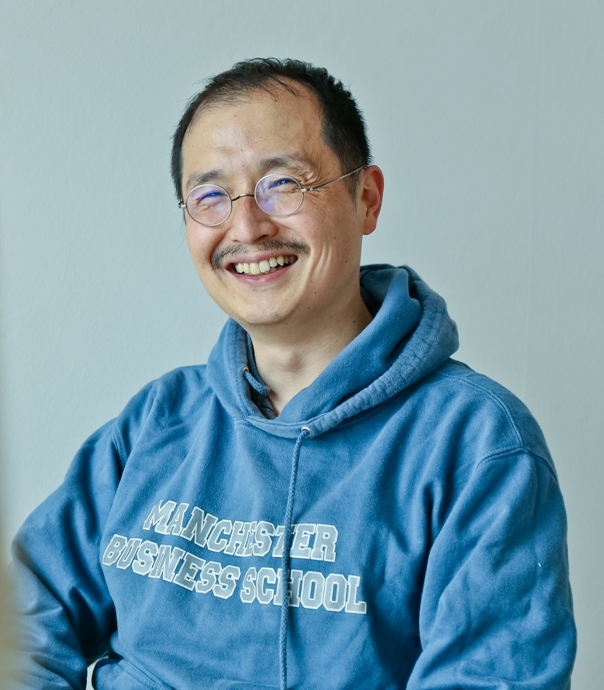 The integrated approach of Manchester Business School allowed me to study in my own time, but also offering online lectures as well as workshops in various locations fitted in well with my travel plans. 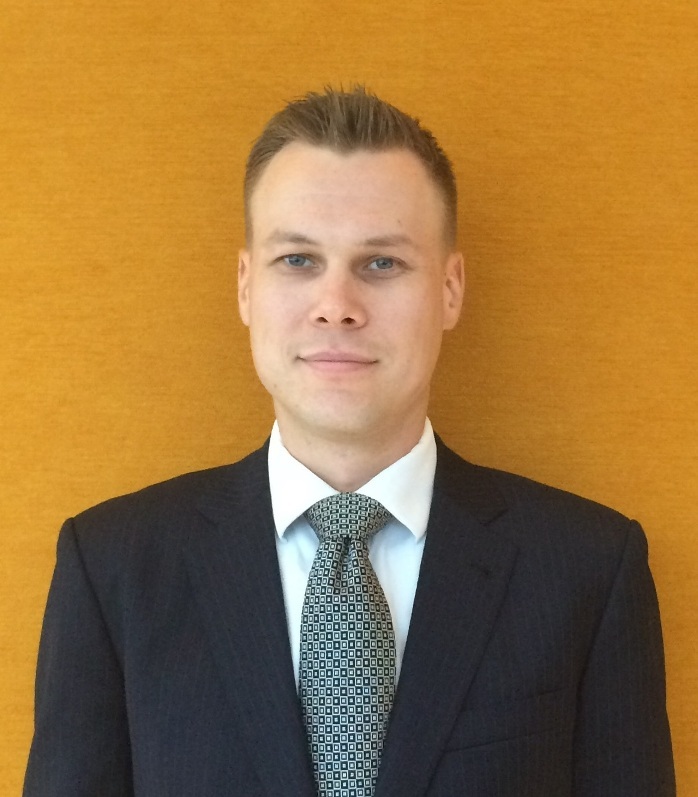 “I decided to undertake an MBA programme to strengthen my understanding in technical areas. Since this was my own choice to study what I liked and what I preferred, it gave me a sense of ‘genuine learning’. “Working closely with classmates and professors in the workshops was the most unforgettable experience to me. Such interactions stimulated a lot of thoughts, and the network built along the study has become a valuable derivative that offers lifelong returns. I still keep in touch with my classmates and professors. 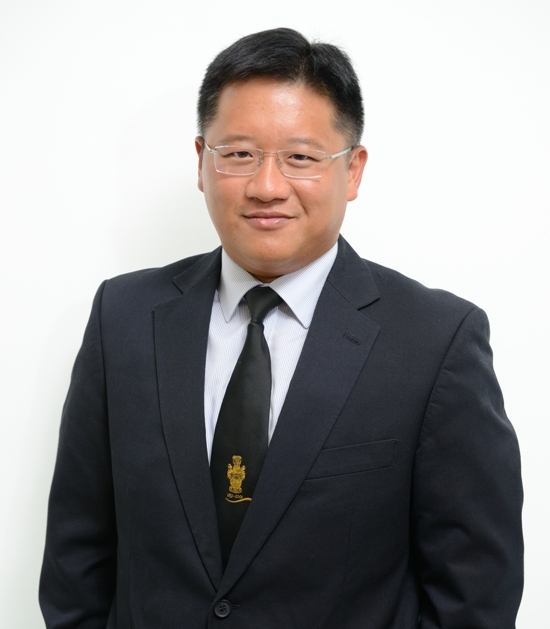 Tanaka Optical Holding Company Ltd. I was confident that this degree would push my career onto greater heights. Today, I have risen through the ranks to become HR Director at a retail firm, having previously worked as a business development manager at an executive search firm. 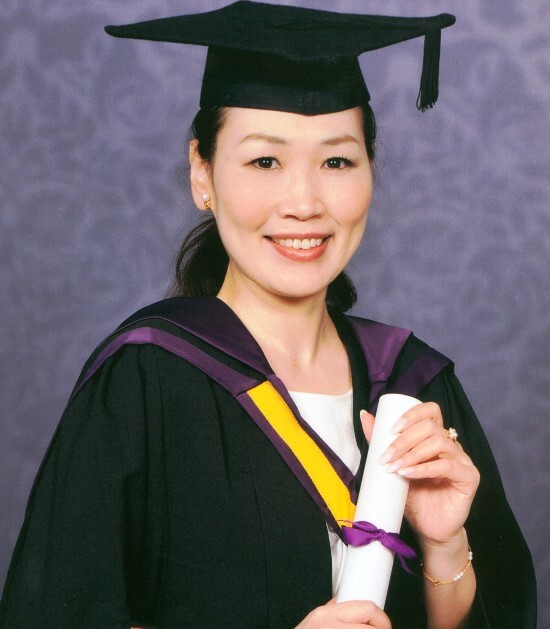 I appreciated how practical the degree was, with lessons always based on the latest developments in the business world, Ultimately, it helped to sharpen my strategic thinking skills. One thing that I particularly relished was the challenge of studying in English – I did a lot of e-reading while commuting. And of course, I am grateful for a newly-acquired network of global connections, courtesy of the many international workshops I attended! I went for an MBA for multiple reasons, chiefly to network on a global scale and to further my career possibilities. Manchester Global MBA appealed to me primarily because it has attained three accreditations, a rarity amongst business schools, and because regional centers allow for a truly global program. 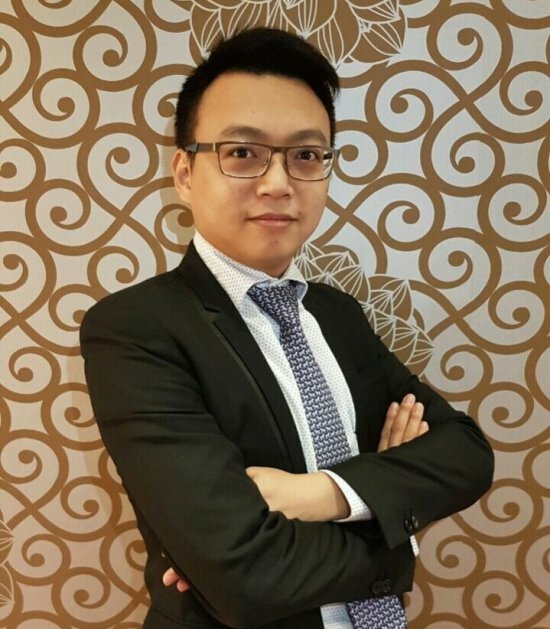 What I really loved about the degree is the high level of cultural diversity—I studied at all international centers except Miami and Sao Paulo, and I had great experiences as to how individual centers such as Singapore, Hong Kong, China, Dubai and Manchester approached education, teamwork and collaboration. Overall, it’s a highly practical degree—I found the ‘Manchester Method’ of fact-based analysis coming in extremely handy when I’m trying to take the lead on a subject within my company. Perhaps the most valuable lesson I took away from my experience at MBS is this: the sky's the limit when it comes to your own personal development, whether as a manager or as an entrepreneur! I trained initially as an engineer but soon transitioned into management and sales; however, with fast paced competitive work environment I felt the need to brush up on the fundamentals of the business and management skills. In order to do well and make advancements in my career towards executive management, I was therefore keen to pursue an MBA. Manchester Global MBA provided the perfect opportunity with its global and prestigious programme, flexible study schedule and Business study from a European perspective. The programme benefited me both in terms of network expansion and acquisition of practical business skills. There were plenty of occasions where I applied what I learned from MBS directly to my work place – e.g., making business plans for new product market launches and form strategies to counter competition. Ultimately, the most precious lesson I took away from my Global MBA experience is it enables me to think more thoroughly and holistically and leap beyond the confines of the box! 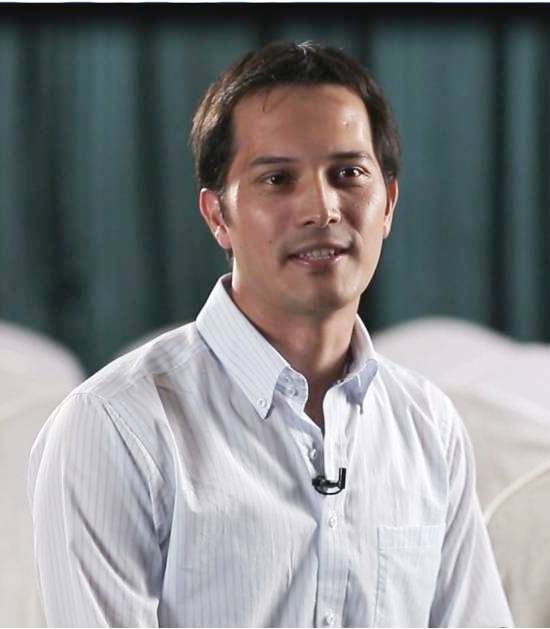 By choosing an MBA programme, I was able to develop a solid knowledge base for financial issues and financial markets. This enables me now to effectively promote my company's financial products and services. In my current work, I am more than able to speak the same financial language as my clients and I no longer feel alien in my discussions with them. The diversity - I wanted to expand my scope of thinking from other industry perspectives. The biggest reward is the opportunity to work with fellow students from different cultures and backgrounds on the MBA programme.  It is common to work with a group of project managers, engineers, accountants, marketing professionals and IT system analysts in the workshop environment. The Manchester Global MBA has a demand for high quality, persistence and self-discipline. It is definitely not an easy programme but requires a lot of hard work balancing study, work and family. However, the satisfaction and learning experience is phenomenal. If you are looking for an easy free-riding MBA, then the Manchester Global MBA is definitely not for you - but if you are looking for life-enriching experience with superb networking opportunities with students from all over the world, then definitely join the Manchester Global MBA. It's one thing I would never regret doing in my life. Herbalife Asia Pacific Services Ltd. In many ways, the MBS Global MBA was a godsend to me. Despite having graduated for many years, I feel that I am still reaping its benefits. Not only did it raise my performance levels at work while catapulting me to the management level, it also allowed me to come into contact with the crème de la crème of the business world, all from a diversity of cultural backgrounds Moreover, I found the programme, with its multiple workshop locations, very accommodating of my busy schedule back then, which included frequent travel and taking care of two young kids. Ultimately, though, it was the contents of the lesson that made the experience memorable for me. It allowed me to turn from a professional into top management material! There are several reasons for choosing Global MBA. Firstly, this is a global programme. Professors come from main campus at UK to deliver trainings to students in the programme, they bring the global experience and vision to the students. Secondly, students with different nationalities join the programme, e.g. 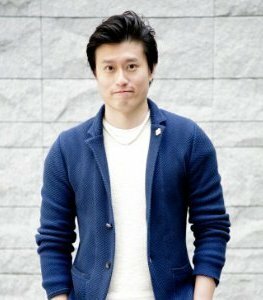 Korean, Japanese, American, European etc. This provides a great opportunity for students to exchange ideas from both the cultural and intellectual perspectives. Finally, the programme is flexible, this helps me to complete the programme in my busy work schedule. As a lawyer, I may be more focused on the legal perspective. However, this programme has broadened my vision and thinking through the trainings in various management skills, such as in corporate finance, marketing, strategic management, etc. Furthermore, students are encouraged to think out of the box, which helped me to excel my skill to provide legal advice in a holistic approach, by giving strategic and practical advice. 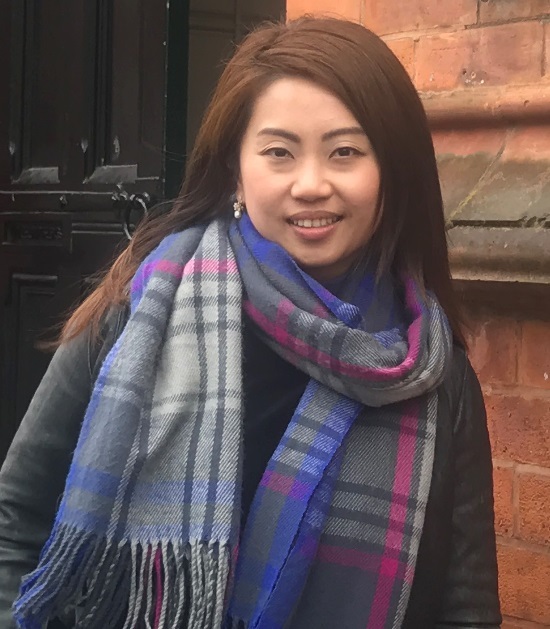 The Manchester Global MBA was a perfect fit for me in terms of learning style, flexibility and focus – combining a strong theoretical base with ample case-studies, it was instrumental in helping me realise my career goals. In particular, it boosted my confidence in pursuing my entrepreneurial vision; ultimately, I was able to successfully pitch my ideas to top management, and out of my vision a new business unit was born. One of my best experiences regarding the degree was undoubtedly the study trip to Manchester, through which I gained precious insight into collaborating with people from a diversity of backgrounds. In fact, through this trip, I grew to become an expert at organising post-workshop events! Finally, thank you for the unstinting support of my cohort – collectively, they have made my MBA journey one of joy and success. How has the MBA helped you develop your network? I travelled around the globe attending workshops and met a lot of people. Because of that, I was suddenly invited to join a group of people for the final project. Turns out, I knew some of them in some of the workshops already. So MBA helped me meet a bunch of people, who are interested in improving themselves, starting up businesses, and most of us are hungry for success - these are the common interests we shared which may lead to something in the future. Why should a prospective MBA student consider MBA? Doing part-time MBA while having a full-time job is never easy. It was tough but fun. I believe it is one of the most fruitful 2-year in my life. You can find a lot of MBA programmes, which only require you to attend classroom lessons in weekends, yet very low load of efforts required. I know some of my friends can choose not to do any assignment but still got passed. However, is it what you really want? I chose MBS because I wanted to get something out of the intensive yet professional courses they provide. Amount of workload (assignments, workshops, exams) was reasonable, though not easy. You will make friends in workshops and group projects that make you feel that you are not alone. At the end of the day, I had so much fun. If you want to learn something, you have to invest your time and effort on. There is no shortcut. Pain and gain. I came from an Organic Chemistry background into the commercial side of pharmaceuticals. I wanted to add formal learning to the business skills I had acquired. I am also ambitious so I saw an MBA as a way to differentiate myself and advance my career. Finally, the chance to develop a strong network of like-minded business people was an attraction. How have the programme's international aspects benefitted you so far? I like the flexibility the programme gives me - I am not bound geographically to the UK. If I receive a new position in another country, I can continue my studies. Have you applied the skills you have learned on the programme in the workplace? Yes! I have started presenting my investment proposals to management with net present value and debated with the finance director what our weighted average cost of capital is. I have developed a broader understanding of various business functions and learnt to speak their "language". 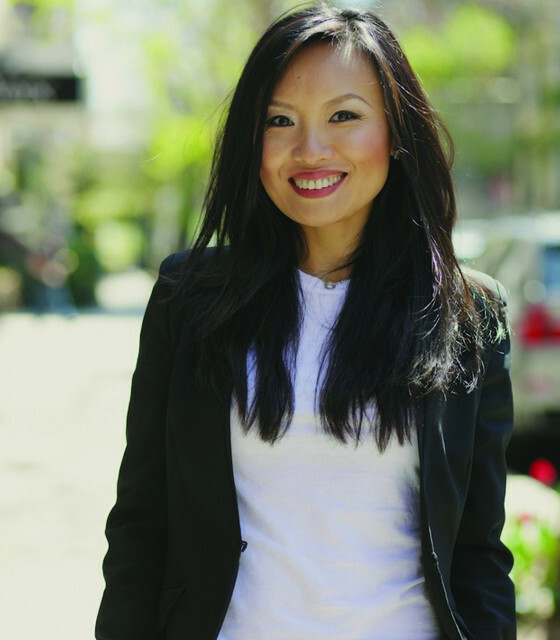 With a high-flying career in global finance, Stella Ngan worked as an Executive Director at Goldman Sachs before switching to her current position at another investment bank. ‘I believe that the degree is tailor-made for professionals in managerial positions, in particular helping them think outside the box in a strategic way when it comes to strategic challenges. 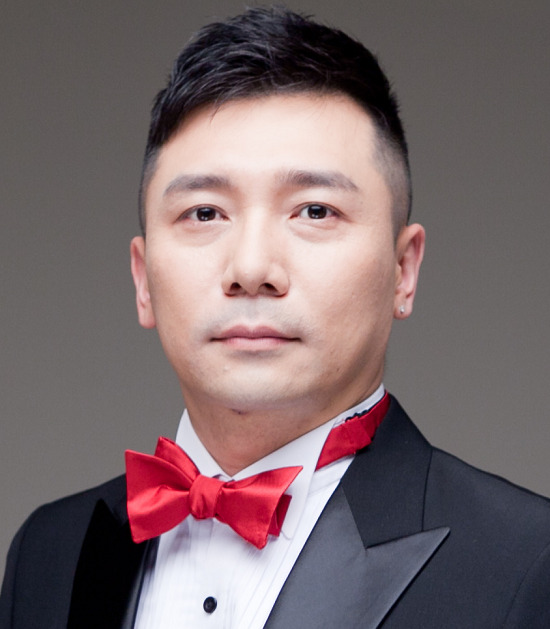 On a lighter note, Stella was the committee of MBS Alumni Association China, and actively participated various activities, running the gamut from seminars, annual dinners to wine-tasting events. By the time I was applying for MBA, I had almost acquired my chartership as an engineer and therefore I was looking for a new milestone to be reached. 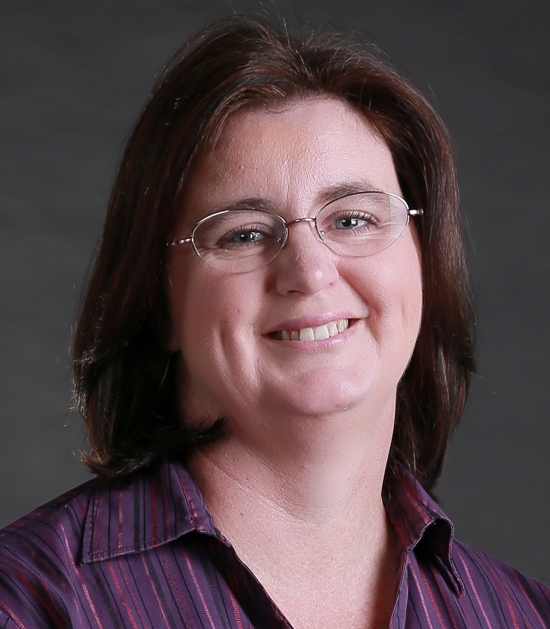 I aspired to be a generalist more than a specialist, so I was hoping to seek more management and commercial learning experience in order to take the next steps in my career. I have had the learning experience I set out to gain in business and commercial terms, and I have made friends in all industries from all around the world. The Global MBA is truly a platform that opens you up to a network of like-minded professionals; however its effectiveness will all be down to how devoted you are. To me, it is a tremendous opportunity to meet some great friends. Have you studied any modules at an international centre and how has his added to your experience? I have been to the Dubai, Shanghai and Manchester centres and I think the experience gained is amazing. The students’ diverse mix of industries and positions has actually contributed a lot to my experience. 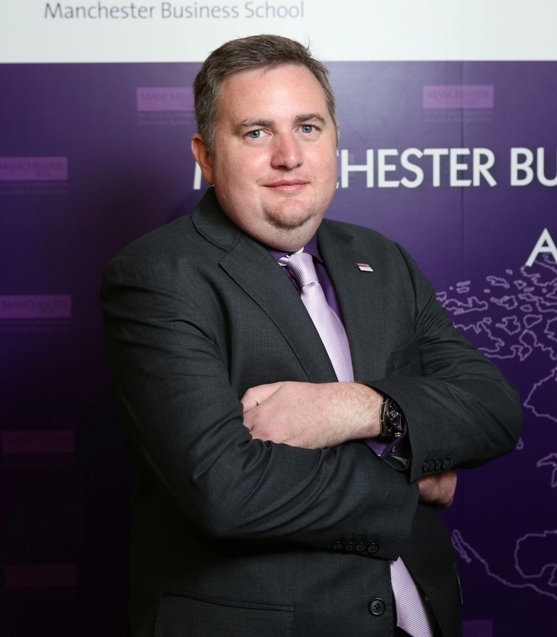 I chose the Manchester Global MBA because of several reasons. Firstly, it has a long and well-respected history amongst business schools in the world, as well as an enviable alumni profile. Secondly, I am attracted to its flexible, workshop-based approach to learning. The degree has benefited me no end, in my opinion. The courses by themselves are excellent – wide-reaching and well-structured, and the faculty impeccable. I especially relished the practical aspect of the degree – it helped me in exploring and finding business solutions within the workplace. At the same time, it gave me access to a great network of fellow students and alumni. Personally, my career aspirations as changed since embarking on the MBA: having learnt so much about other industries from the degree, I plan to switch fields at some point in the future. I have learnt so many valuable lessons about company finances and management from the program and have also come away with the lesson that no decision is a wrong decision. Ultimately, each and every decision has its own consequences and positive aspects. United Health Communication Co,. Ltd. I chose Manchester Global MBA since its flexibility of module that enable for busy people like me to manage both academy and current work. Of course, the fact that Manchester Business School is globally renowned business school is another reason why I chose this school. I could learn the on-going reality of international business through case study and workshops. Workshop will help me capture these ideas not only from lecturer but also colleagues through discussion on case studies. In addition, students are allowed to join workshop in the different locations which enable to learn local culture and business in a great deal. In this case, I could figure out which countries are more suitable to go as a first step of internationalize my business, what is the ideal mode of entry, and so on. Colleagues at MBS is such a precious network for me. We help each other not only achieve academic performance but also real business. My colleagues introduced me potential customers and business partners so far. I could apply useful theories and flame works to my current business. As a CEO, I have to take care of all of aspect of the business such as building and executing strategies, financing, accounting, human resource management, and so on. According to skills I could gain from MBA, they are not only about coping current situations I face but also they help understand and prepare what is going to happen in the future. 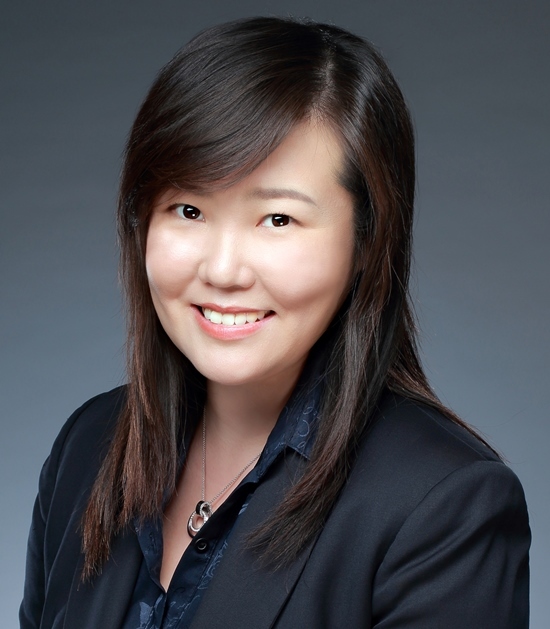 May Cui went for an MBA primarily to elevate her skill-set, and in order to deal with rapid company growth. 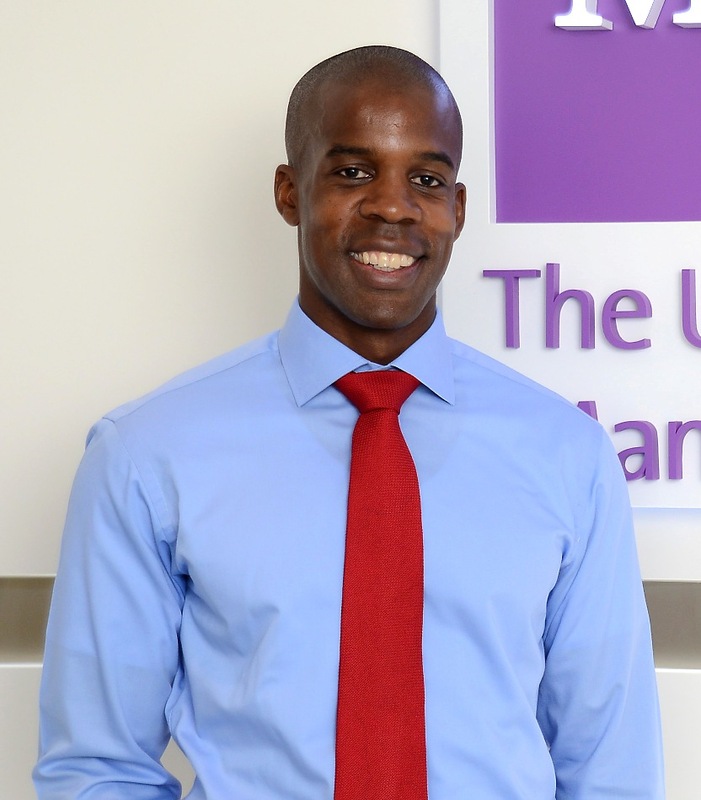 I never considered any other MBA programme, Manchester Global MBA was my only choice because of the programme’s accreditation, flexibility and reputation. Ever since I started my MBA, I realised that the theories combined with practical business cases and practices had helped me a lot in my daily decisions and presentations. 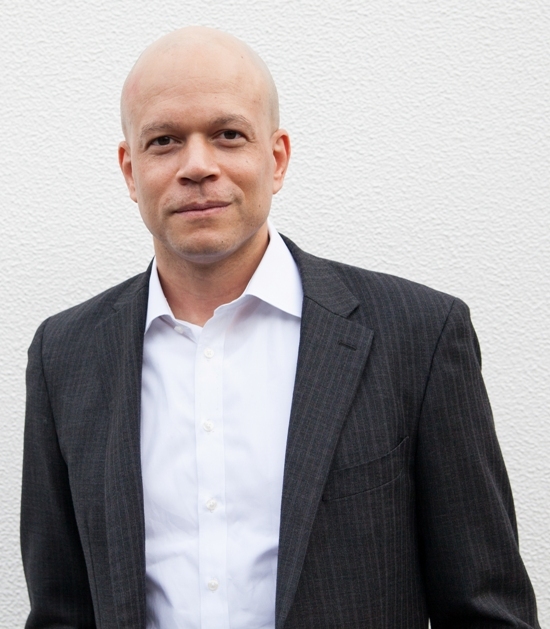 Manchester method and "Learning by Doing" is truly a positive impact on my career. Proud of my experience and exposure gained from my career, I had never expected I would benefit that much from the programme. The programme changed my thinking process and taught me to apply the academic theories and applications to my day-to-day work. It works for both business-related and people-related issues. My work has never been as smooth as now as before! I also praise the global facing programme and the connection it brought. There is no doubt that the programme expanded my international network on a large scale. Apart from making friends, we also share market intelligence, business insights and values that are so important to everyone in the business world. 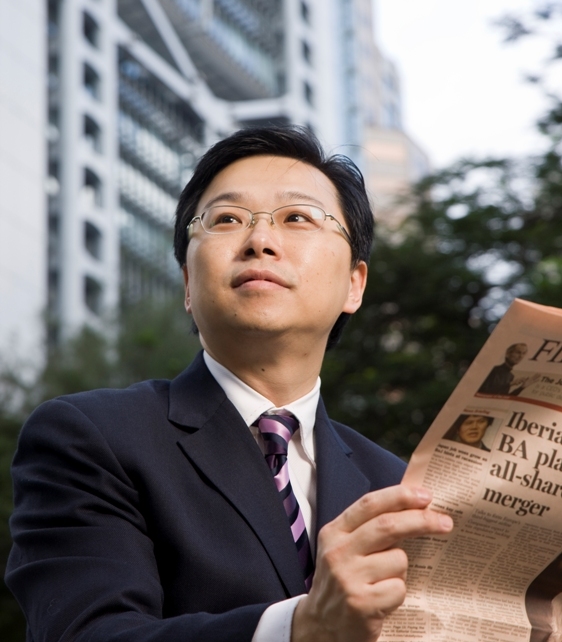 Bernard Wu was a seasoned accountant in 1997 when he decided to pursue an MBA to shift his career into higher gear as a financial professional. 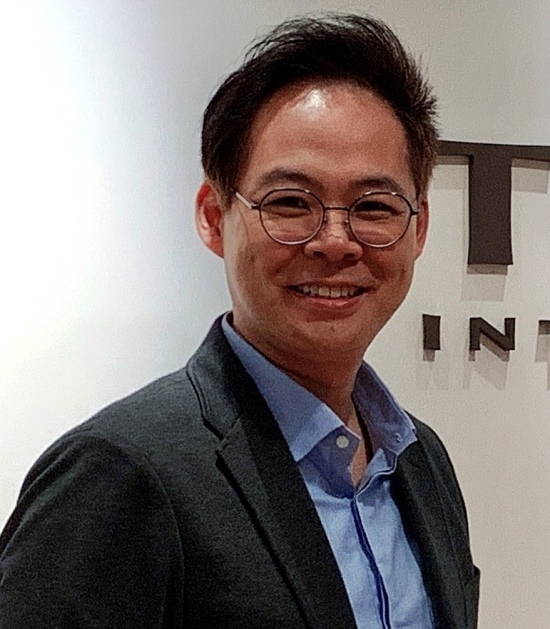 Having worked for Deloitte Touche Tohmatsu, a Big Four accountancy firm, Bernard had gone on to middle management positions in the finance and treasury departments of several listed companies in Hong Kong. 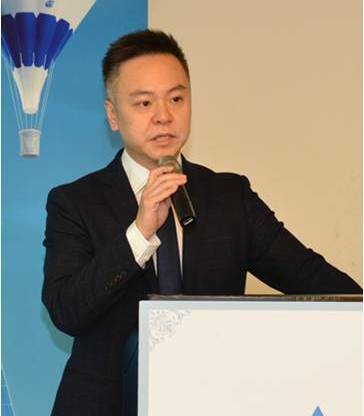 After his MBA, he became a corporate financier who advises major companies on acquisitions and divestments as head of corporate finance at the major Taiwan-based securities house. What was your career history before the Global MBA? Our company is own family owned small enterprise which is established by my grandfather 60 years ago. I am in charge for Sales director as 3rd generation of the company. I started IT industry and in charged for 5 years IT industry. And, move to current company which is industrial component trading firm 10 years ago. Our company has long tradition and stable business basis but global economy is difficult to foresee and past experience is not guaranteed to apply for future. I wanted to study systematic business methodology to make my decision foundation. What was your biggest achievement on the programme? Workshop was so much exciting for practical knowledge and skill establishment. This international experience is precious asset for me. Each venue has different cultural context which enables my internationalization. My business segment is niche market so our network was limited. MBS has many industries and I found many experiences are inter-exchangable which can lead general answer to resolve daily issues. How has your career developed since the Global MBA and how did the programme contribute to this? The largest advantage of Global MBA is we can apply studying knowledge immediately on current ongoing business so we can study on live. Many assignments are about analyzing & reflecting current business how we can apply theoretical frameworks and dilemmas. Our studying is not theoretical on-desk study but also empirically study using on real case. MBA students all have a very busy schedule, with work, school and family commitments. One of the things that really helped me was being able to combine study with my job. I used a lot of material from my job in my MBA program, which benefited both work and study. Studying real and relevant cases was the big benefit of the MBS programme and helped me to build my knowledge quickly, but the real value goes beyond the course and has lifelong value, and that’s making friends and being part of an alumni network.